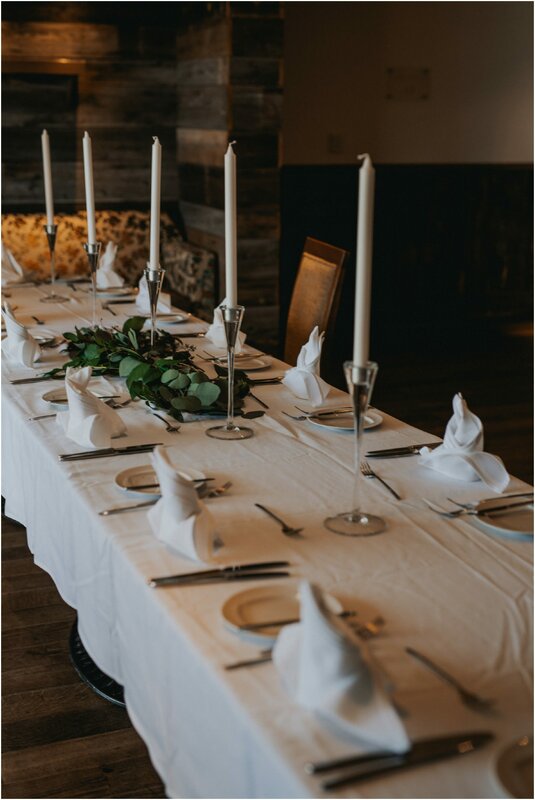 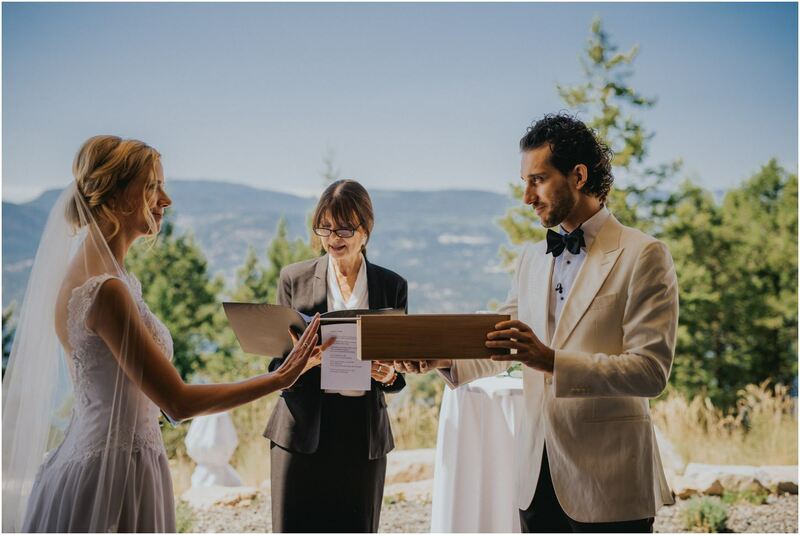 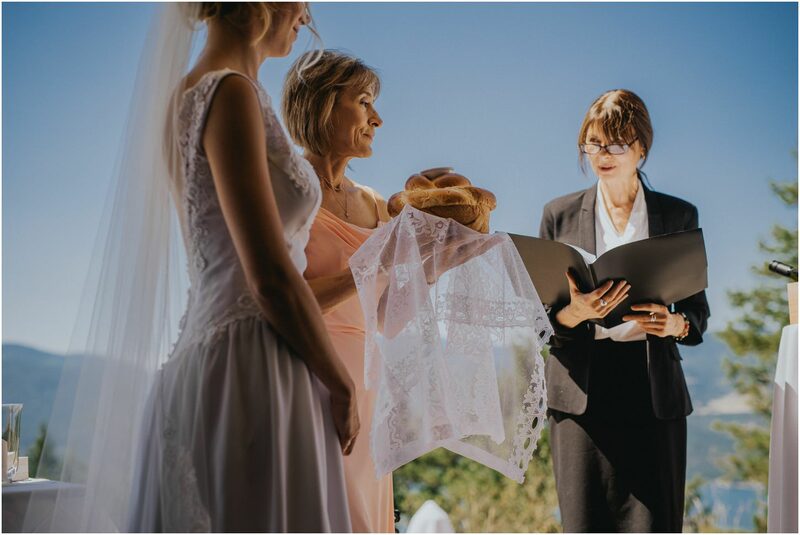 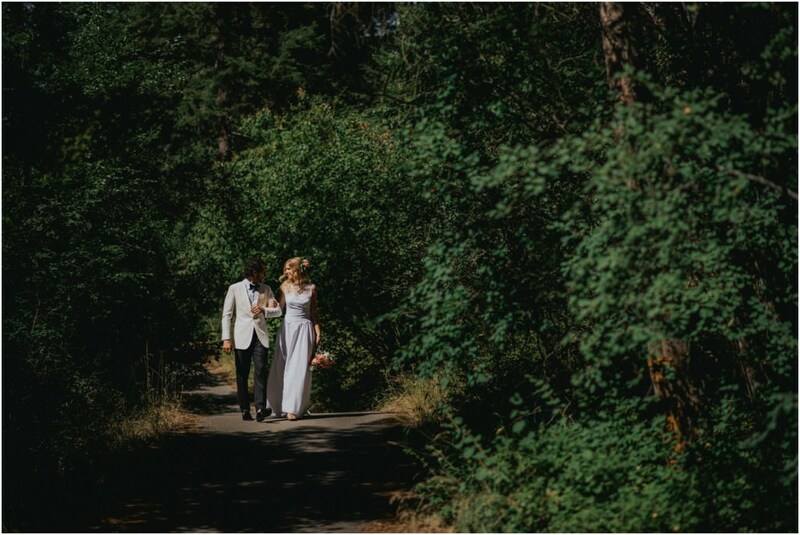 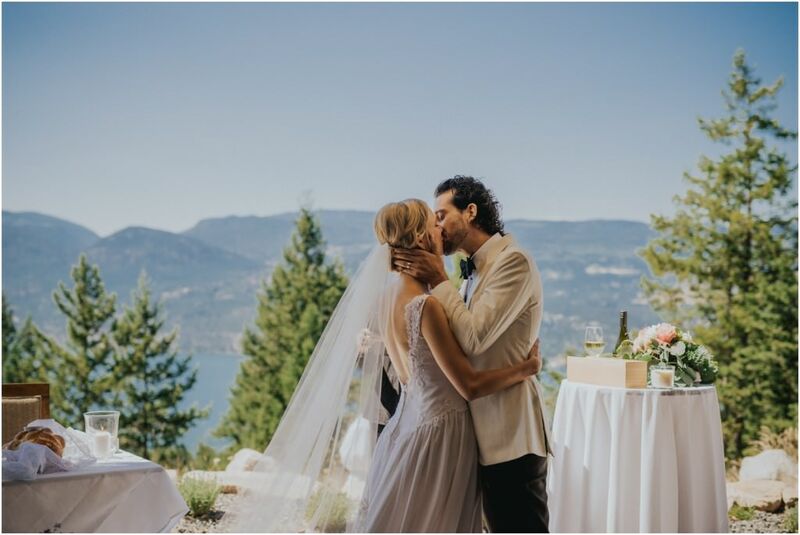 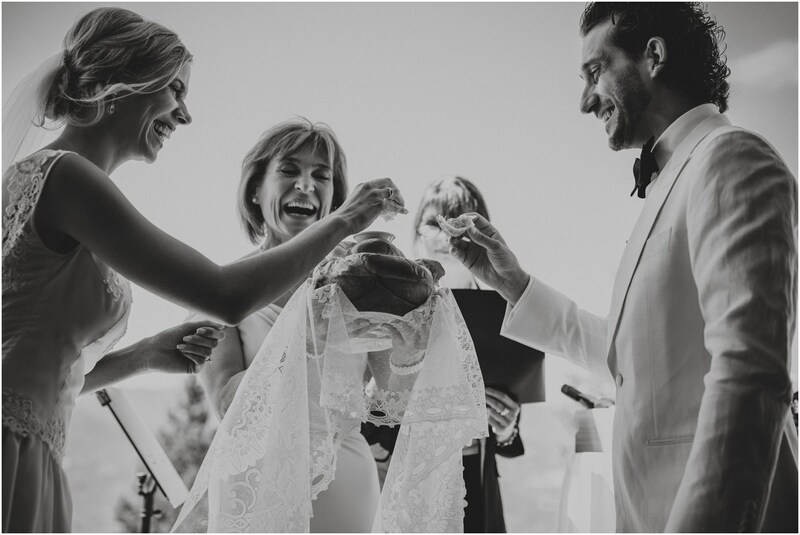 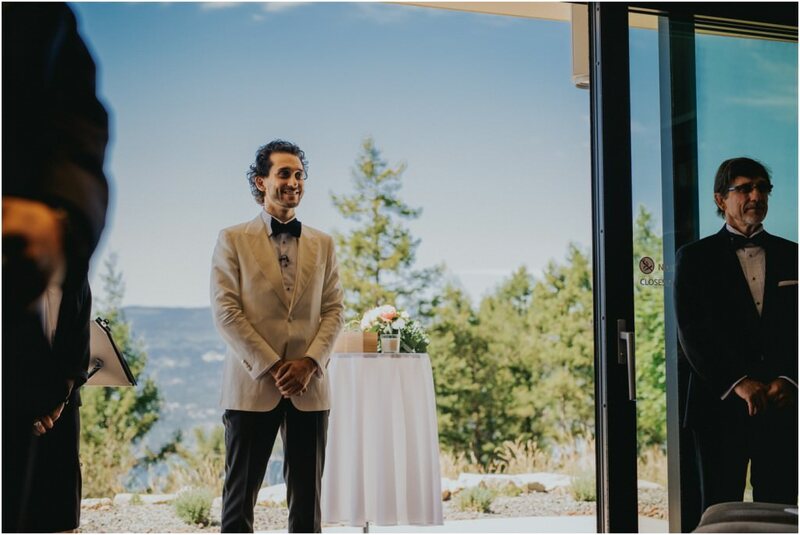 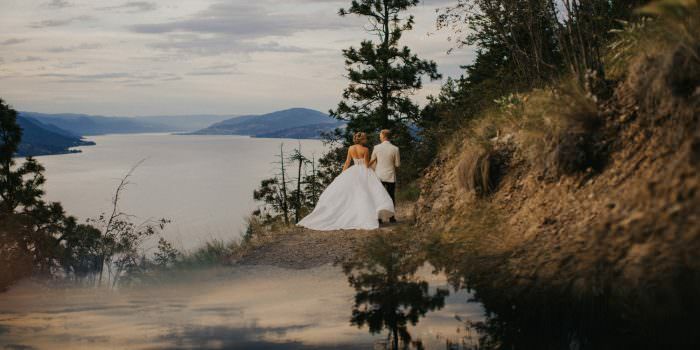 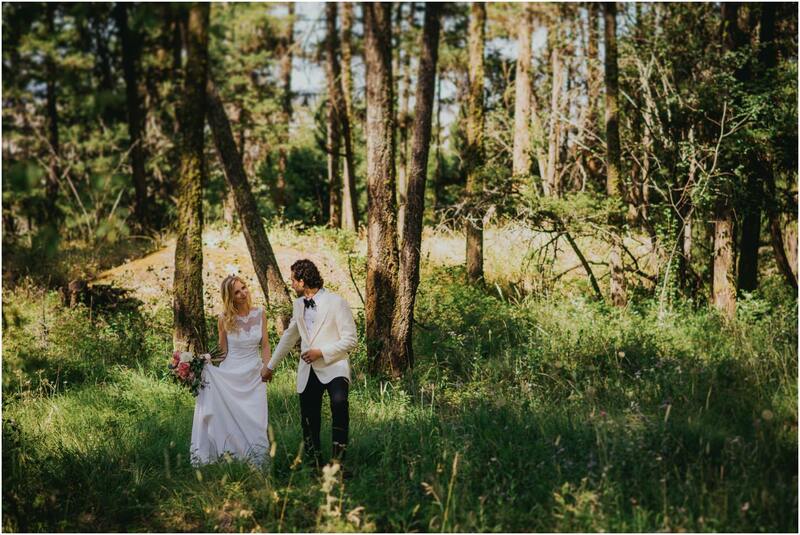 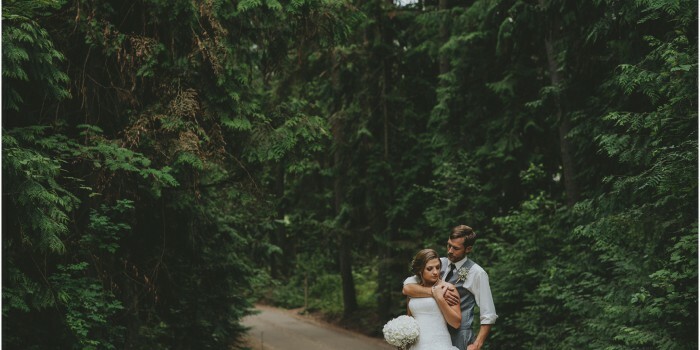 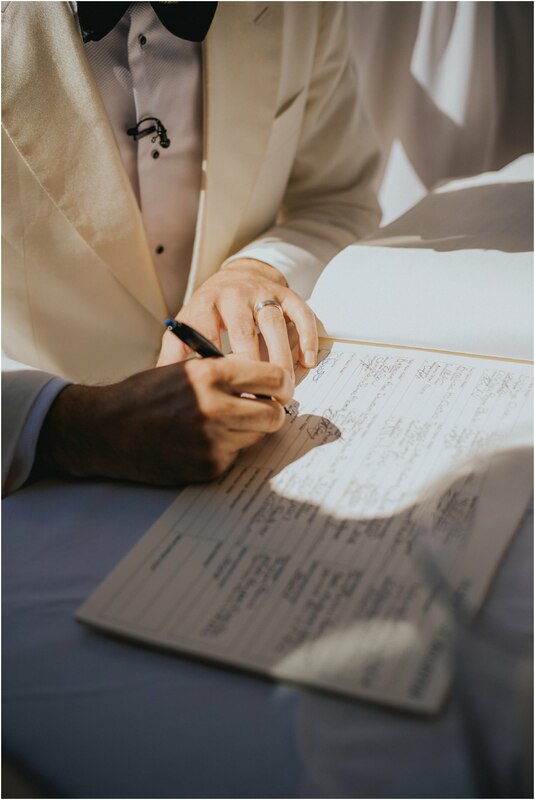 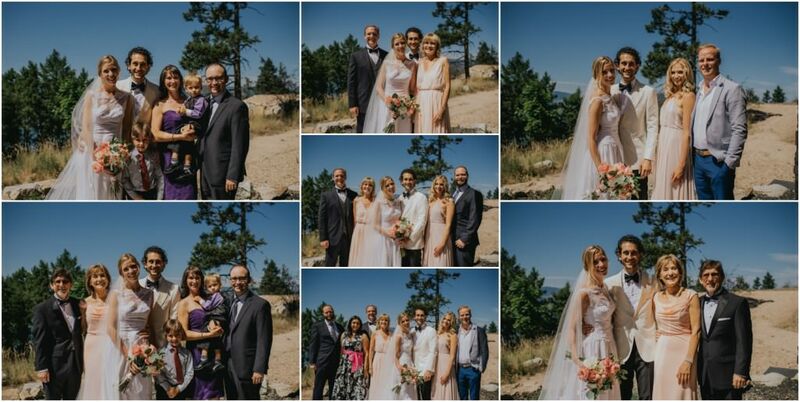 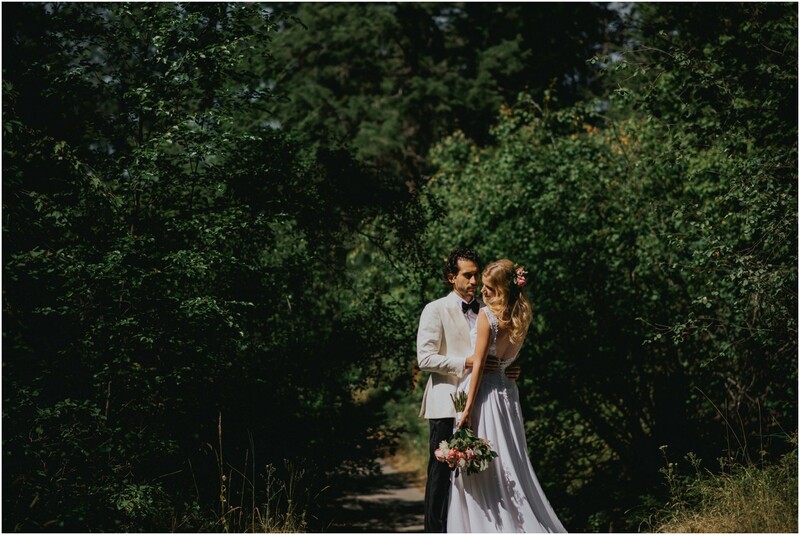 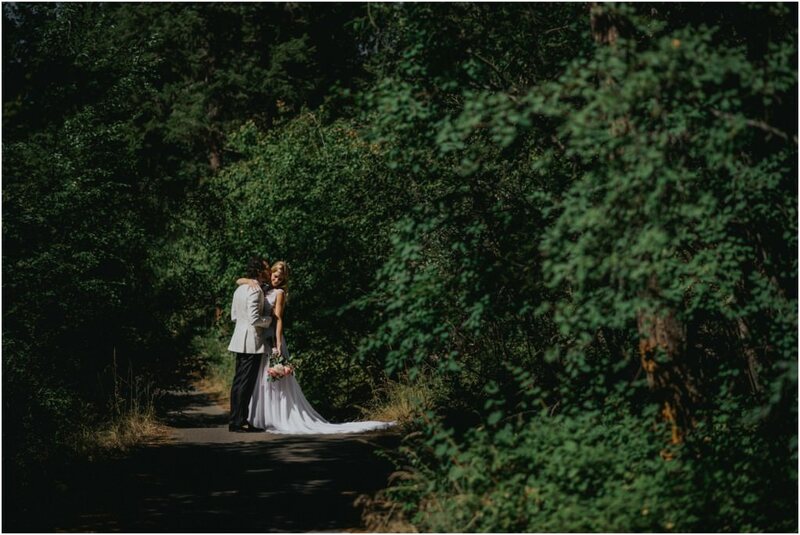 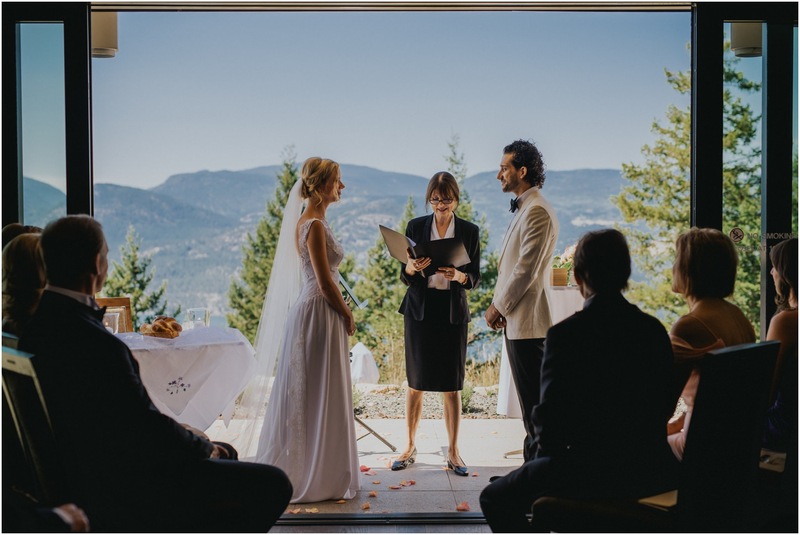 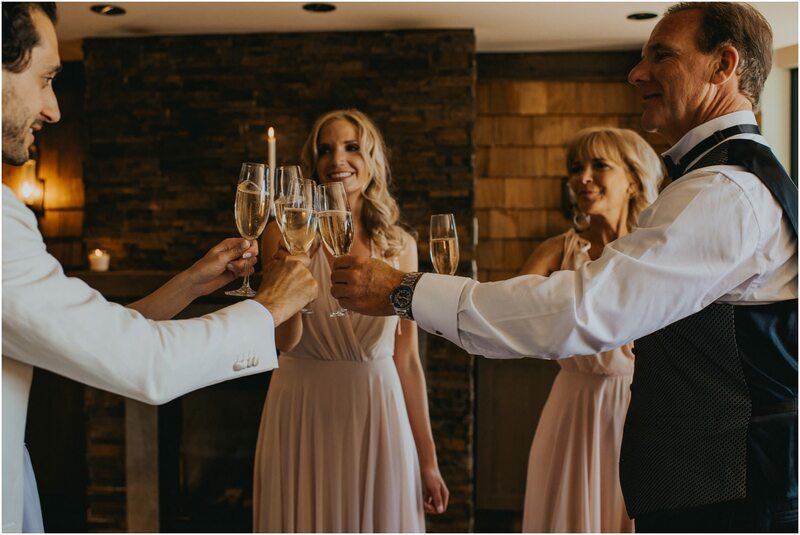 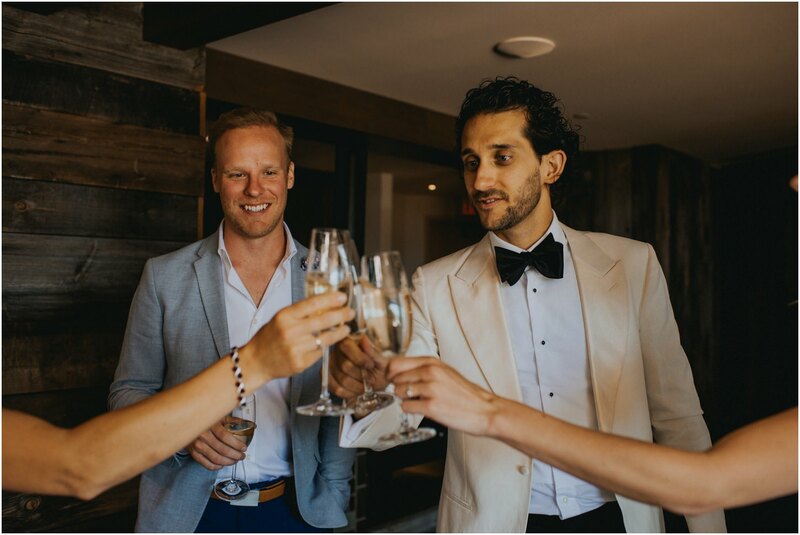 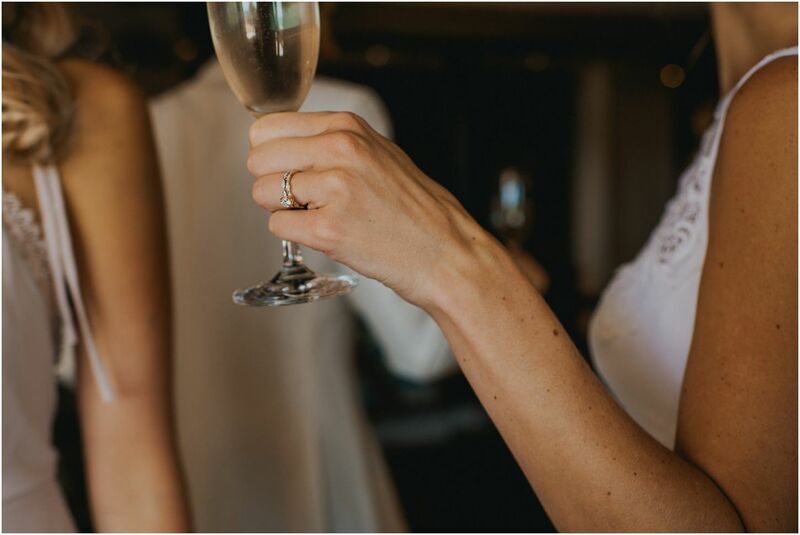 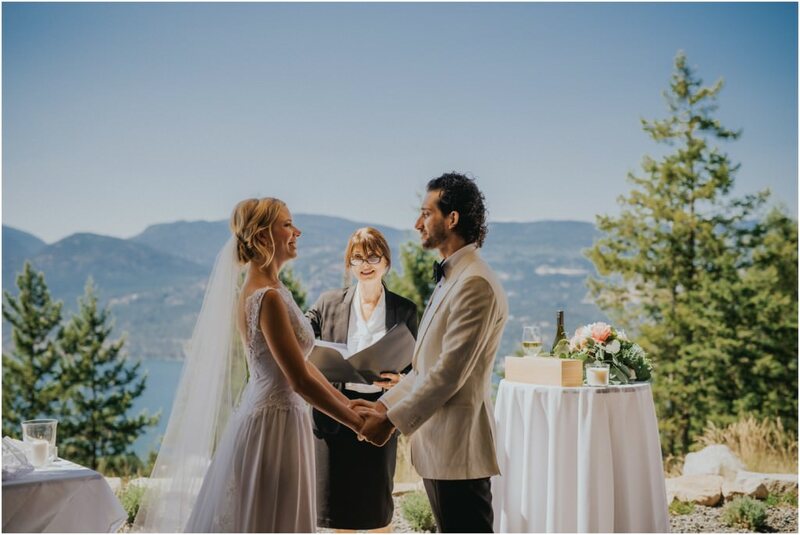 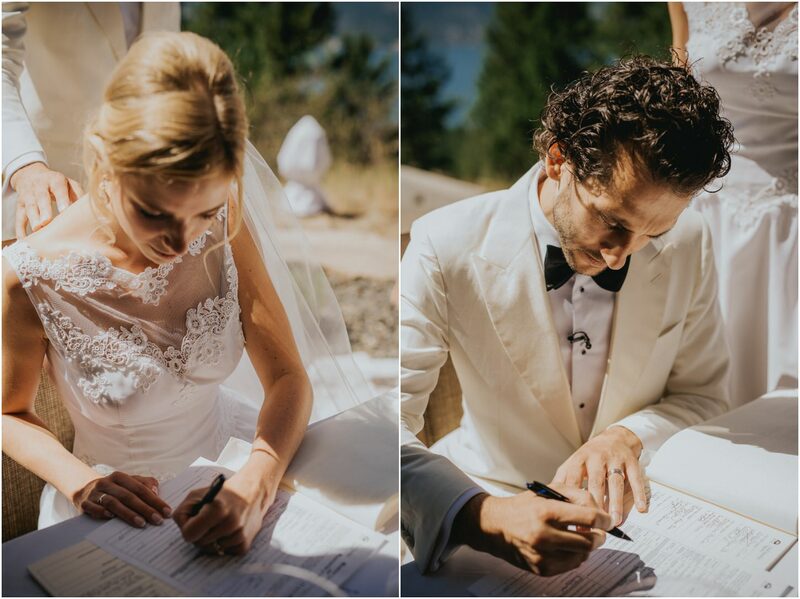 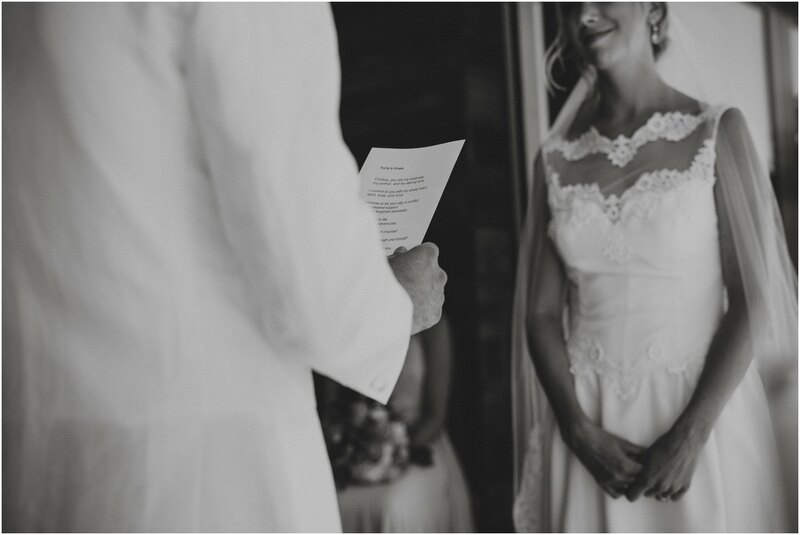 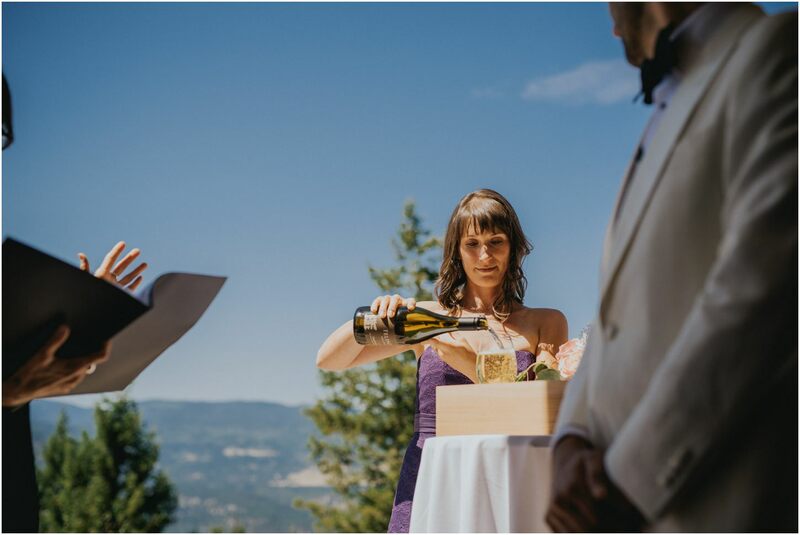 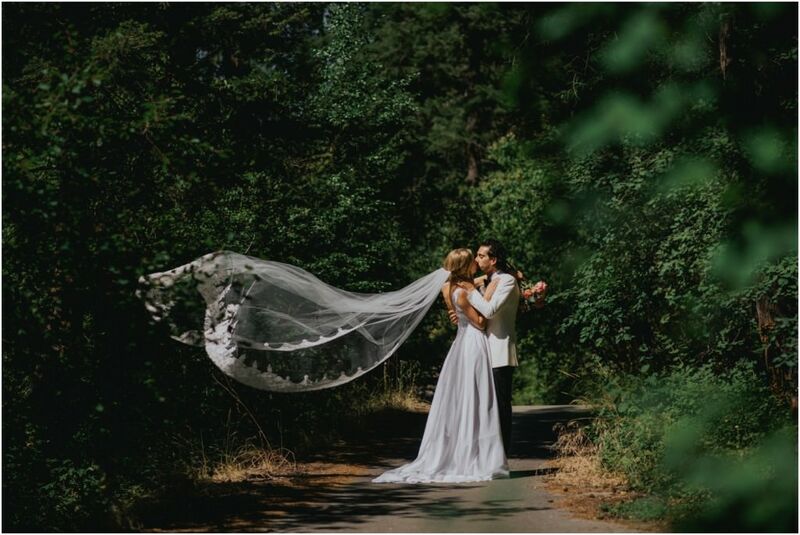 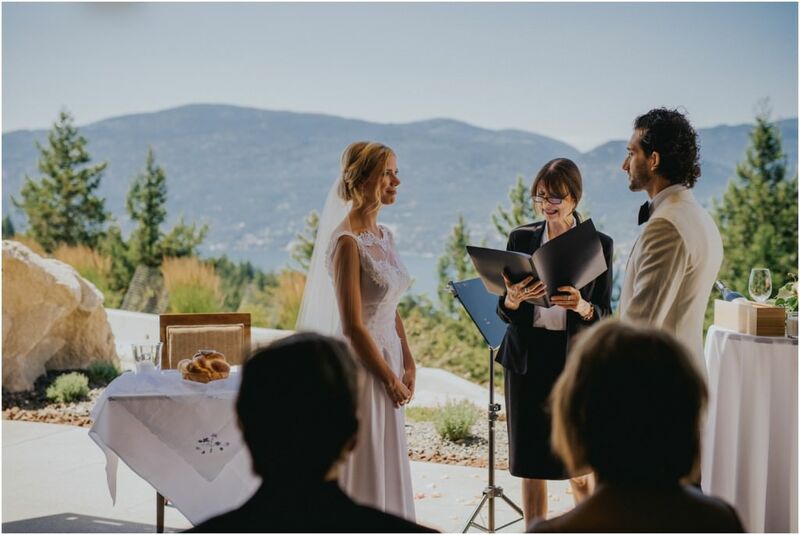 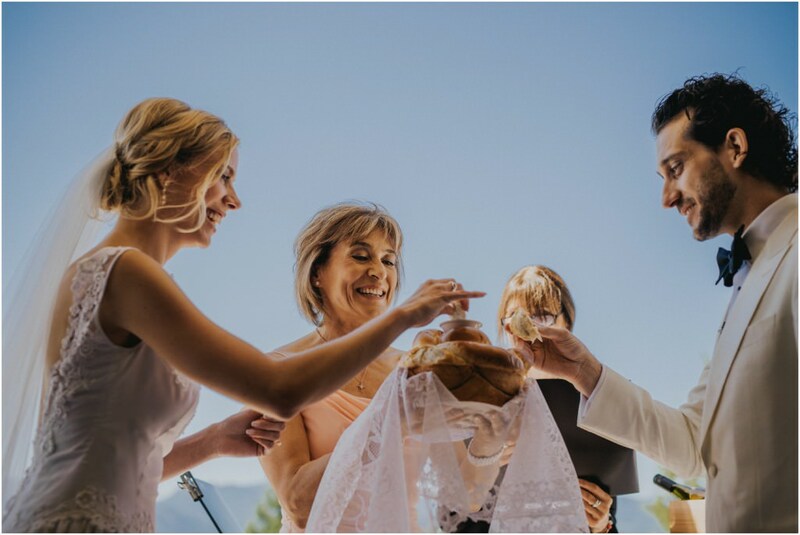 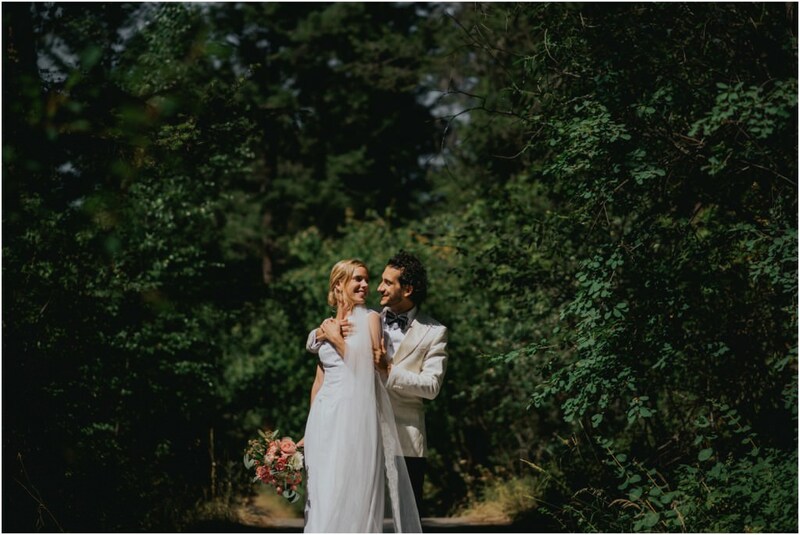 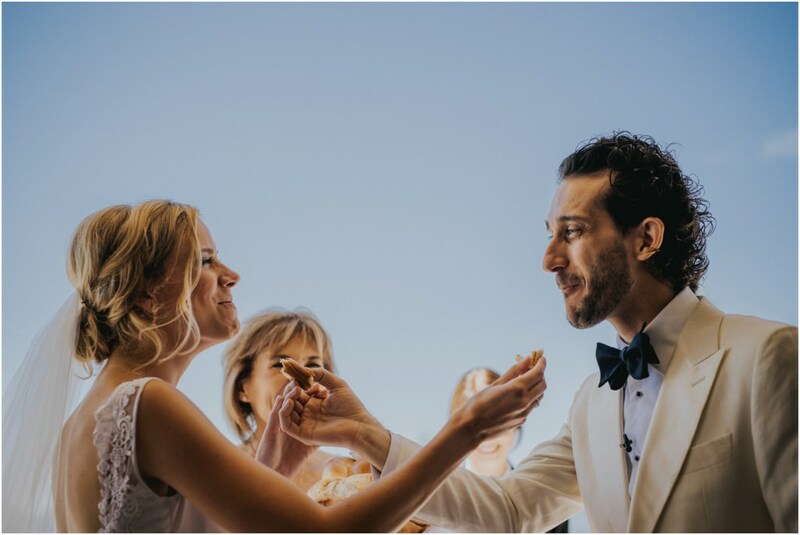 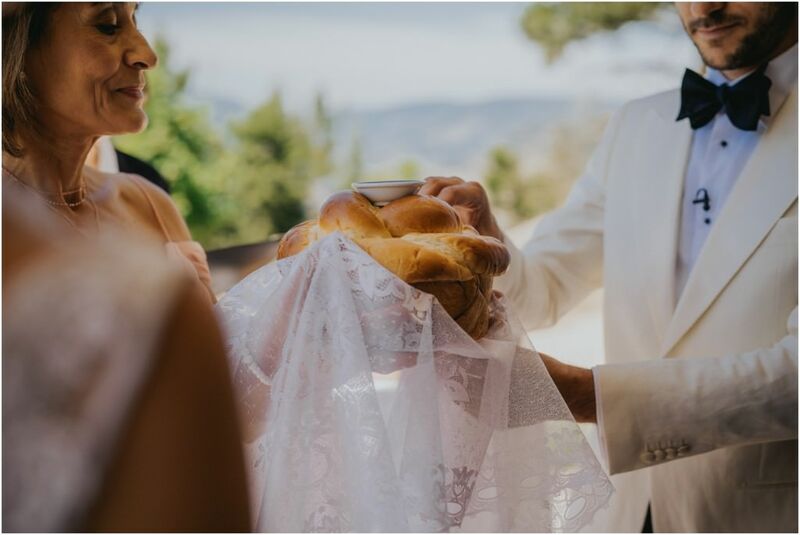 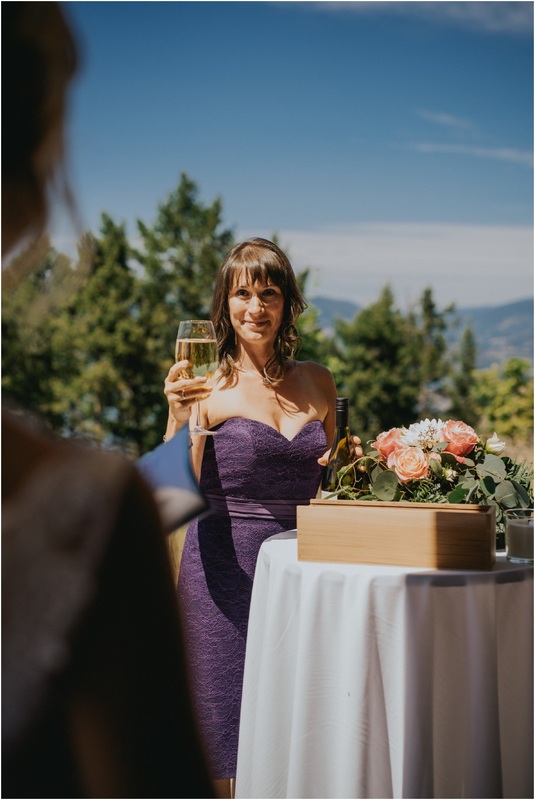 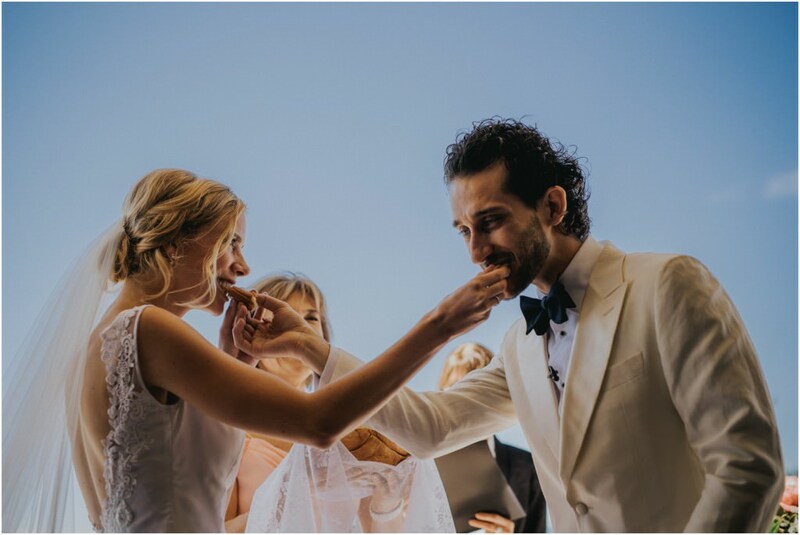 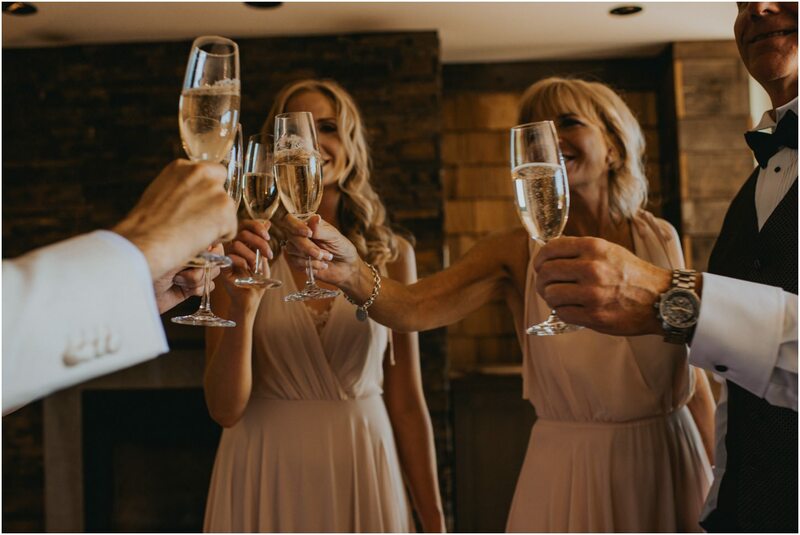 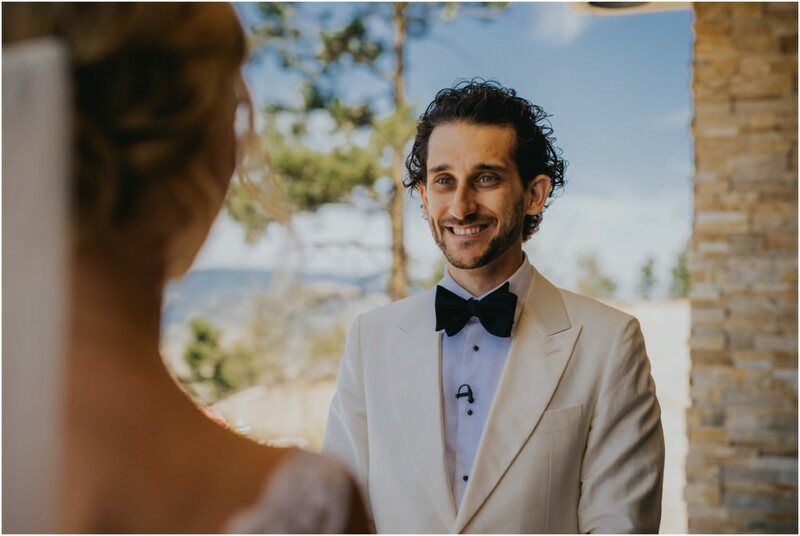 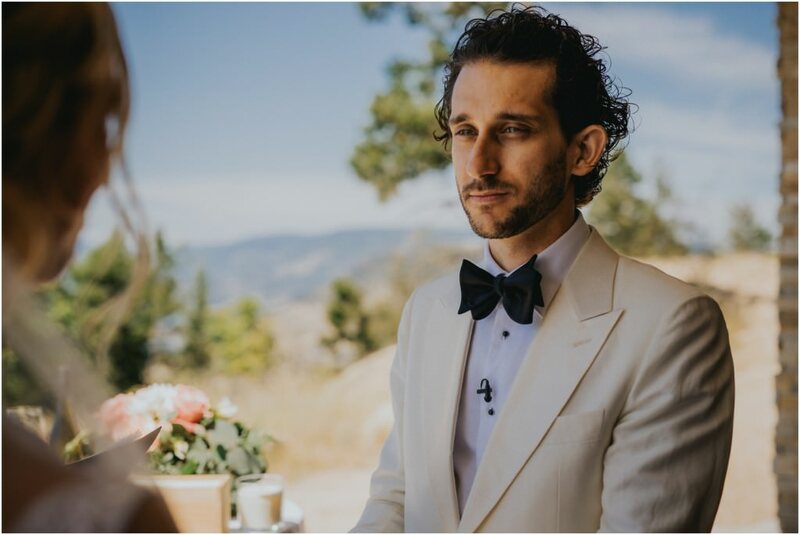 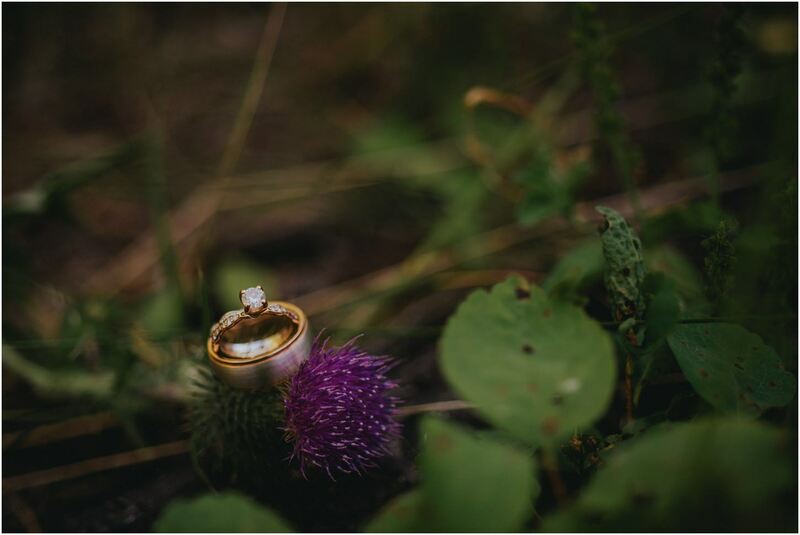 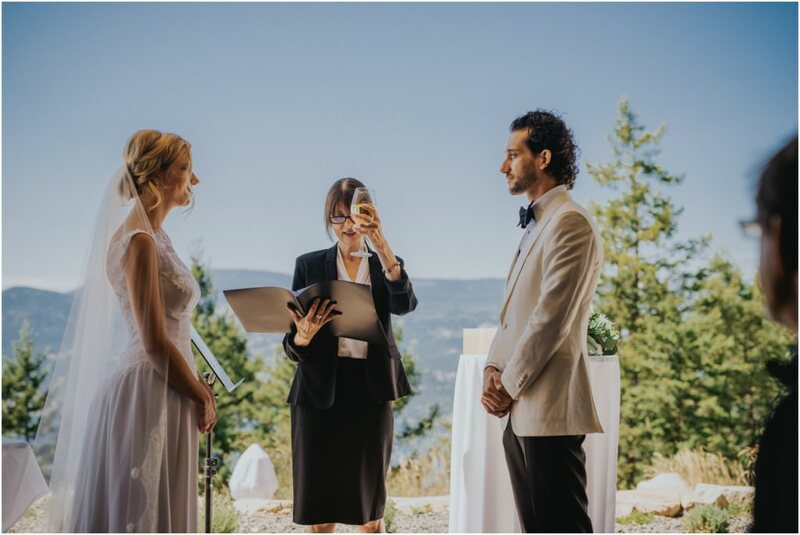 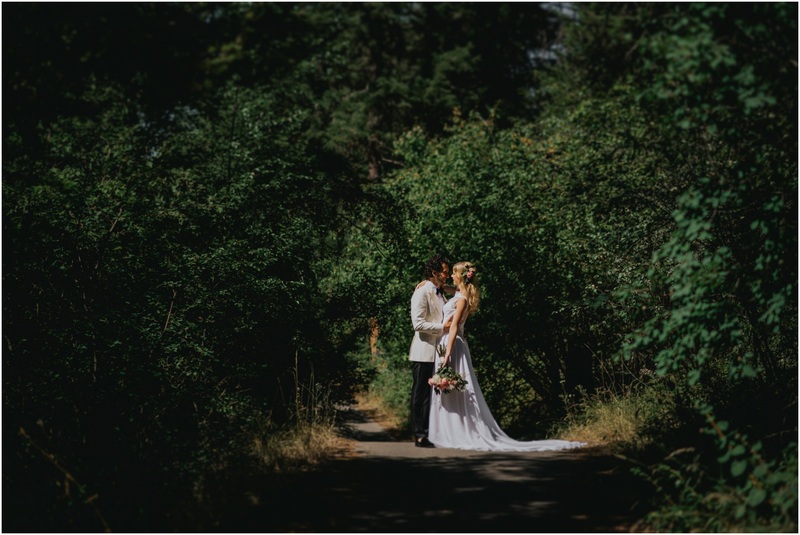 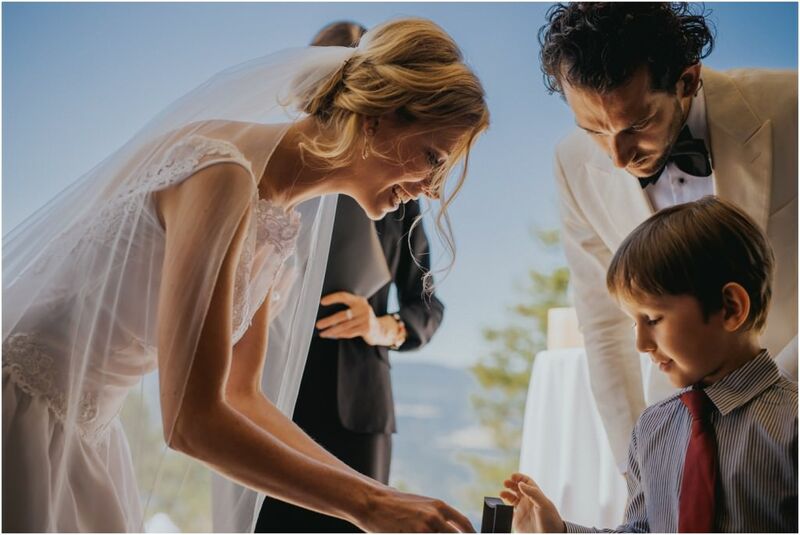 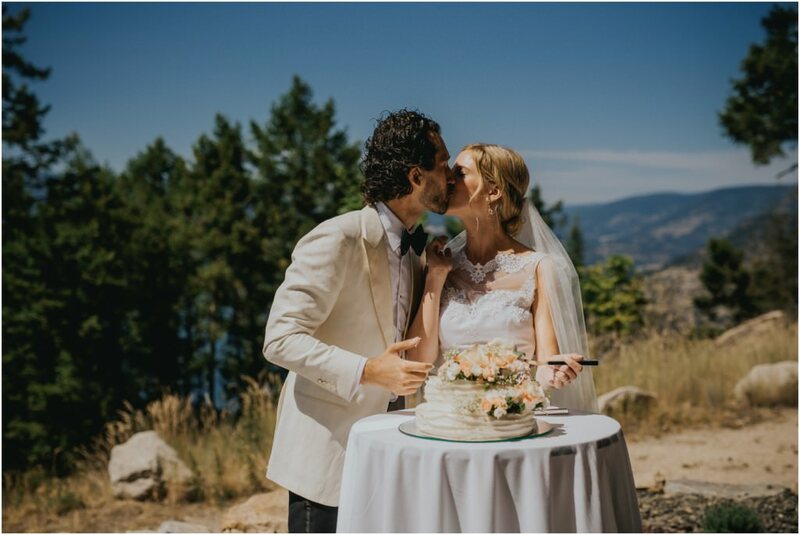 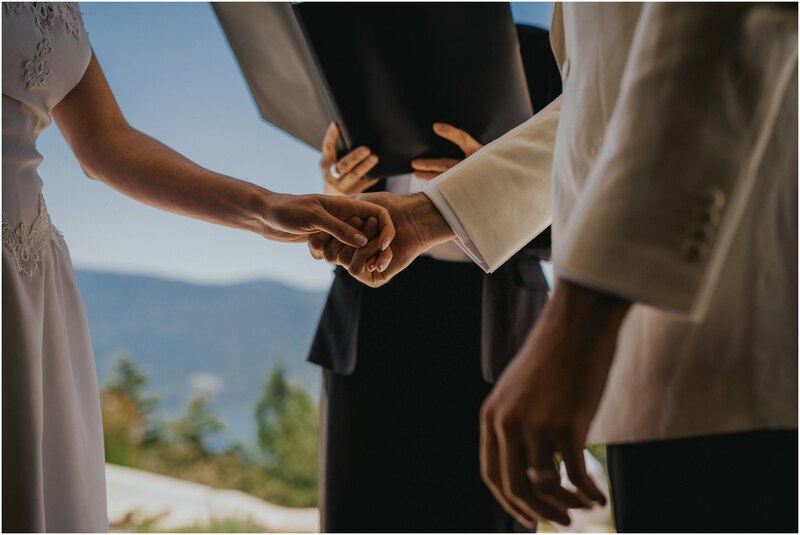 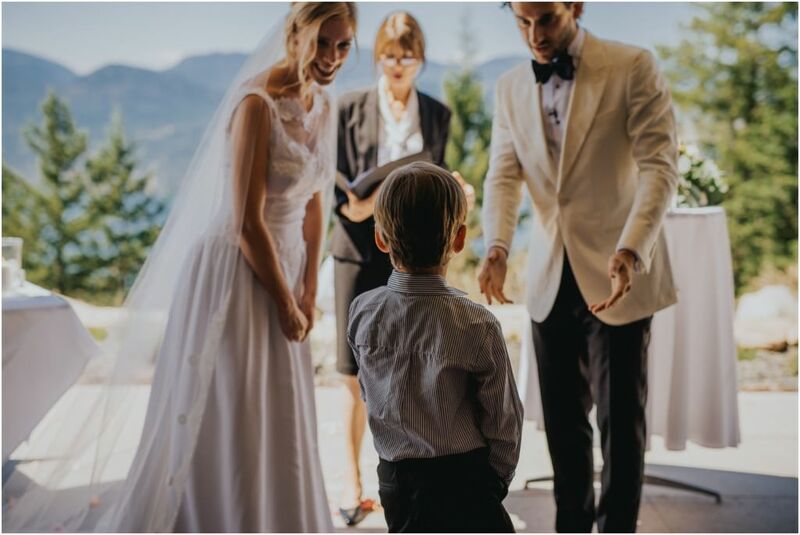 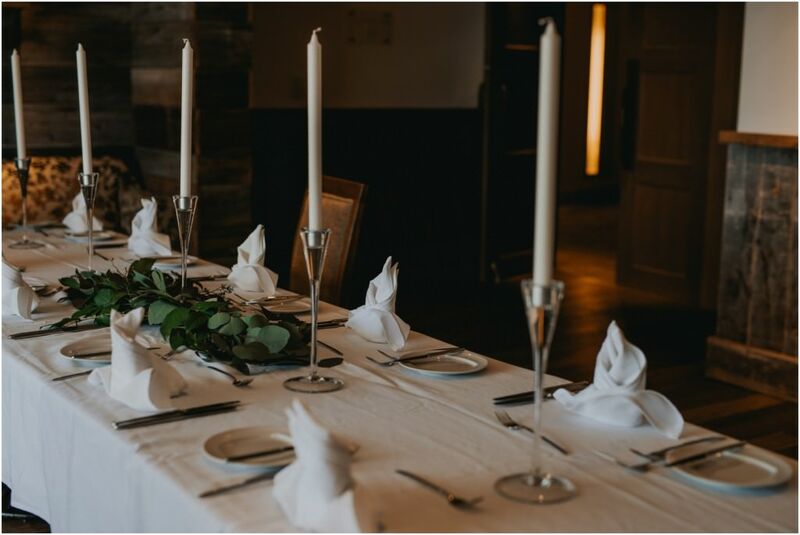 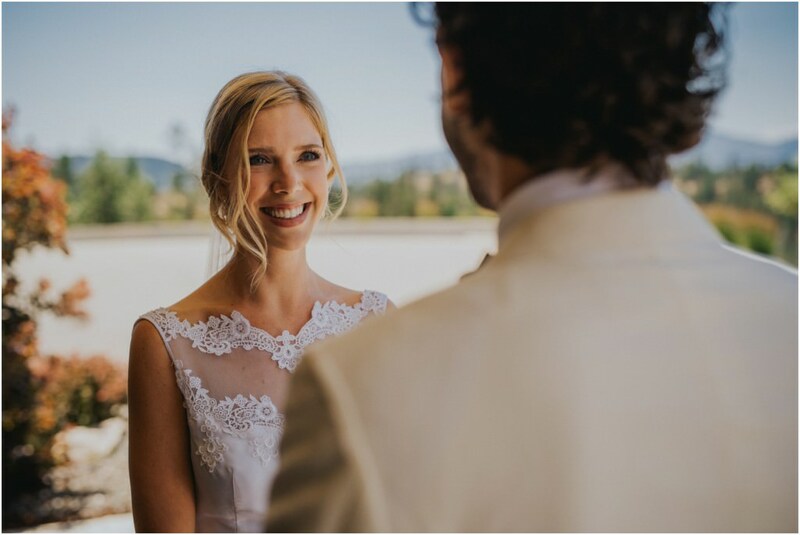 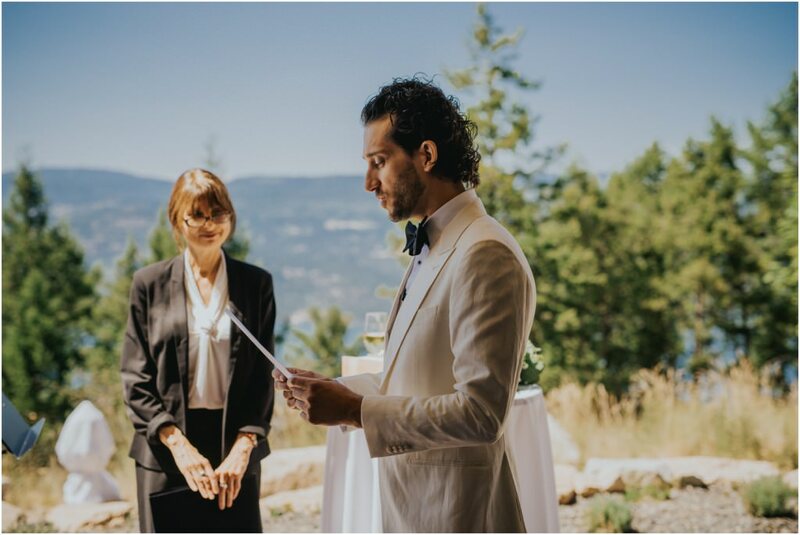 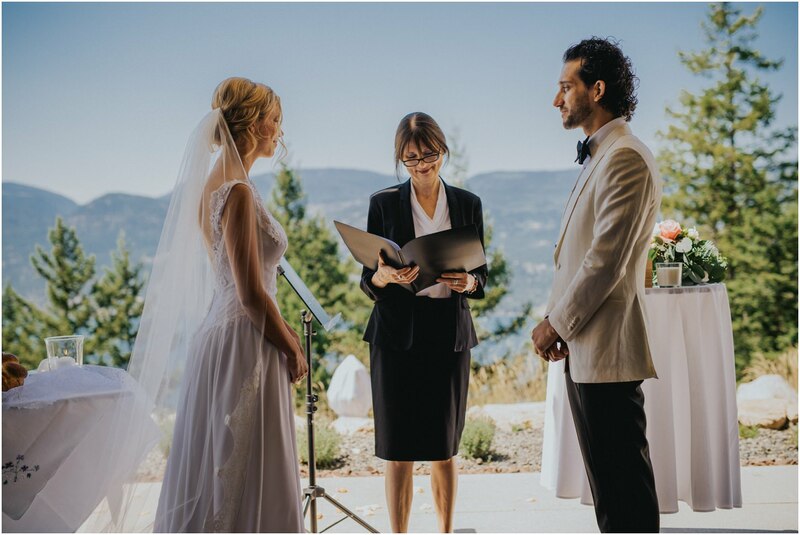 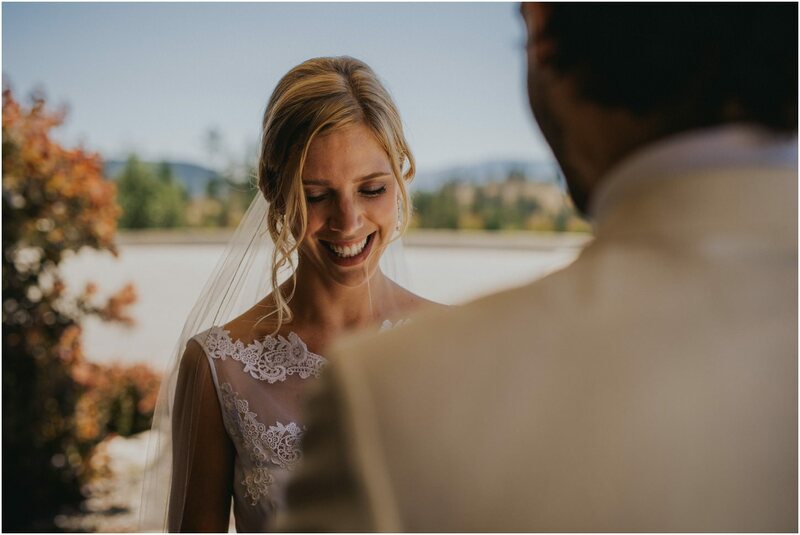 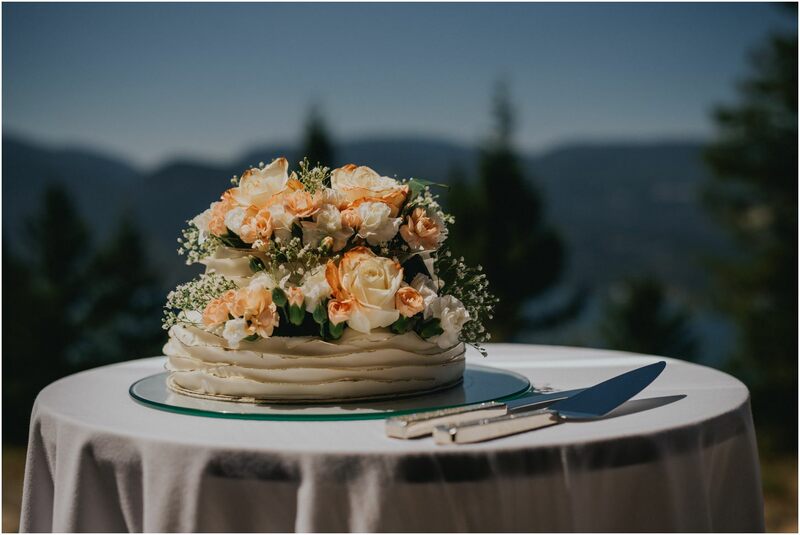 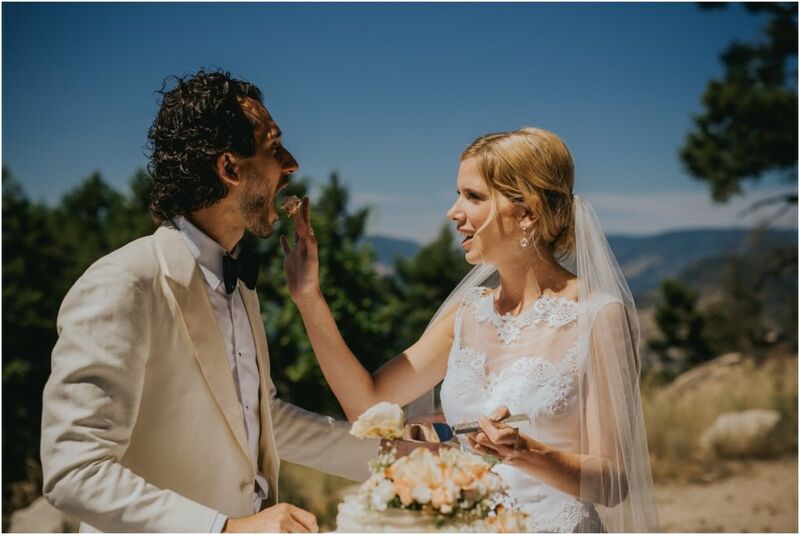 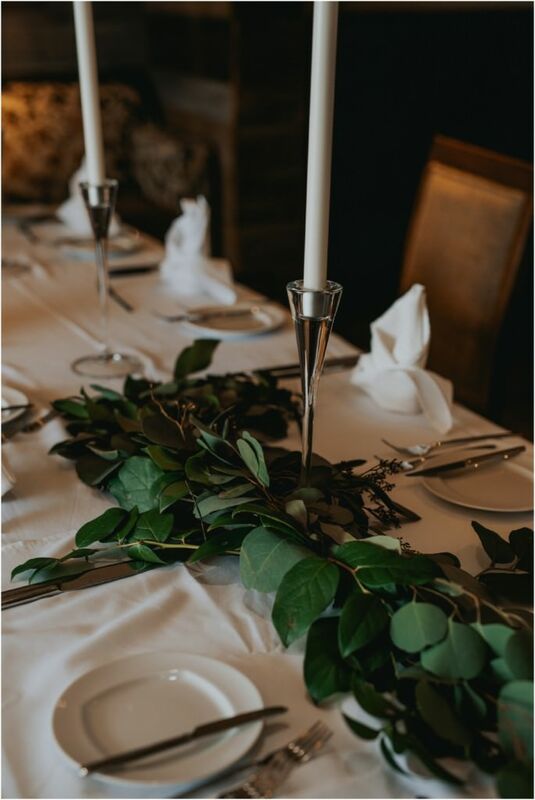 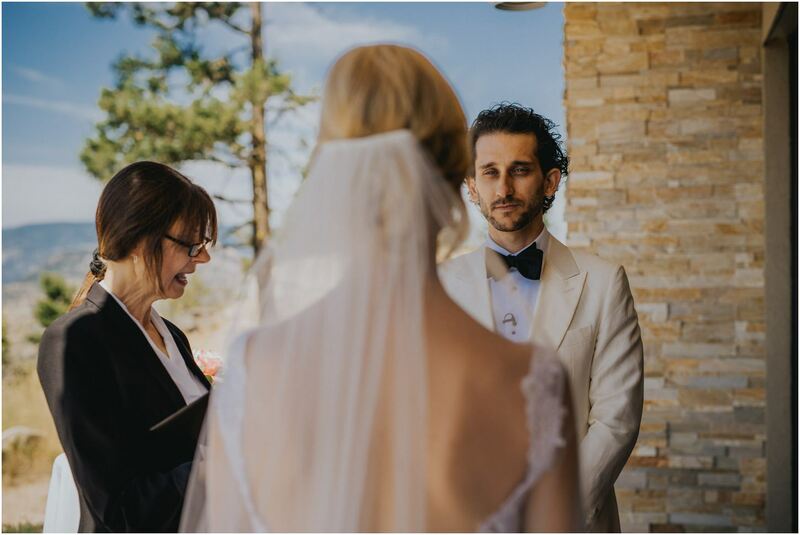 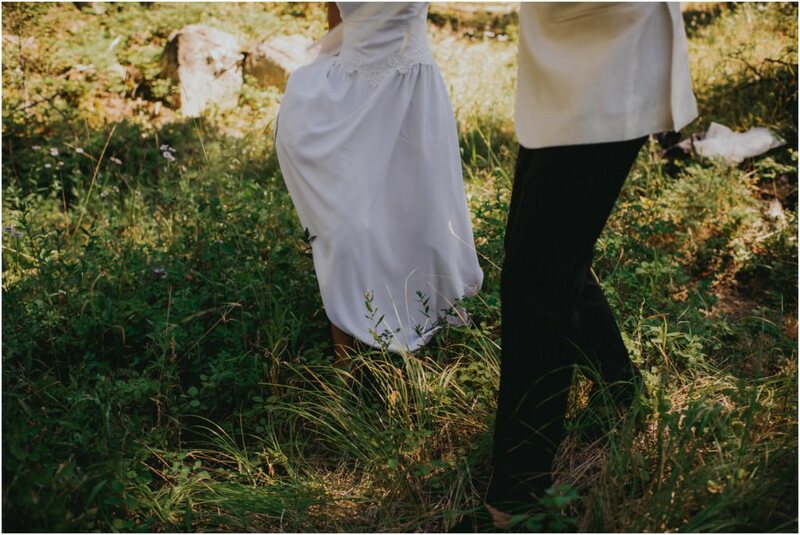 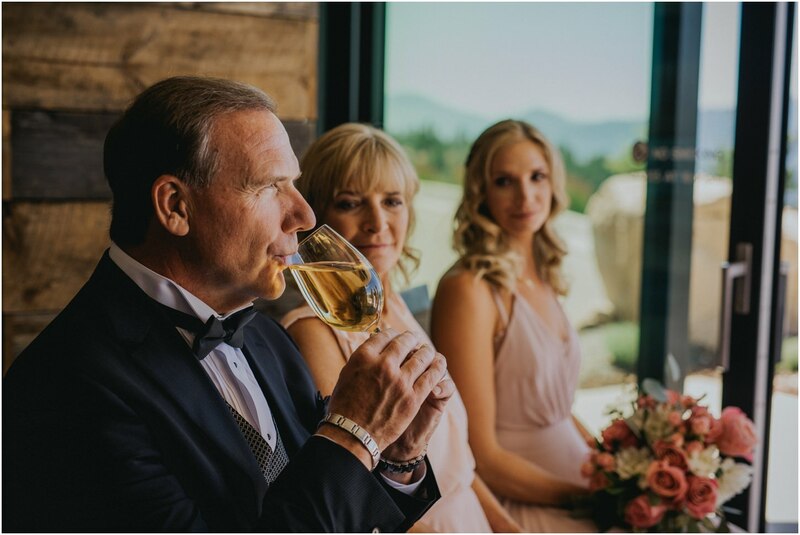 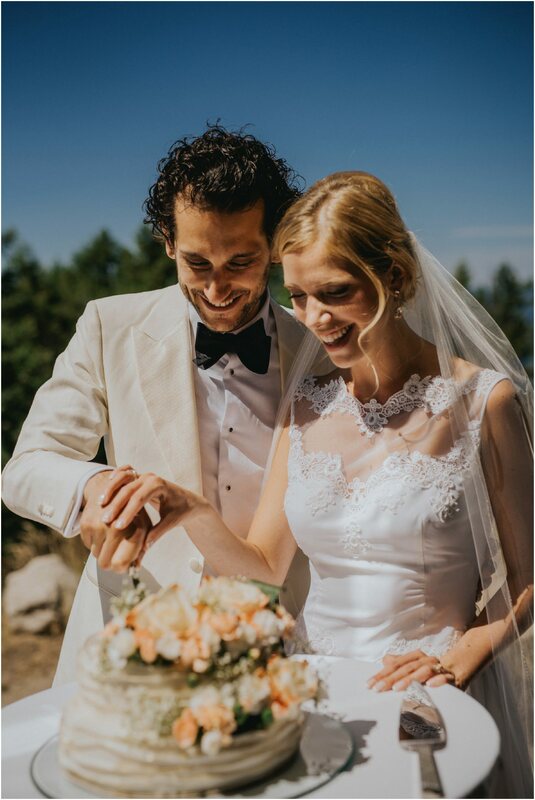 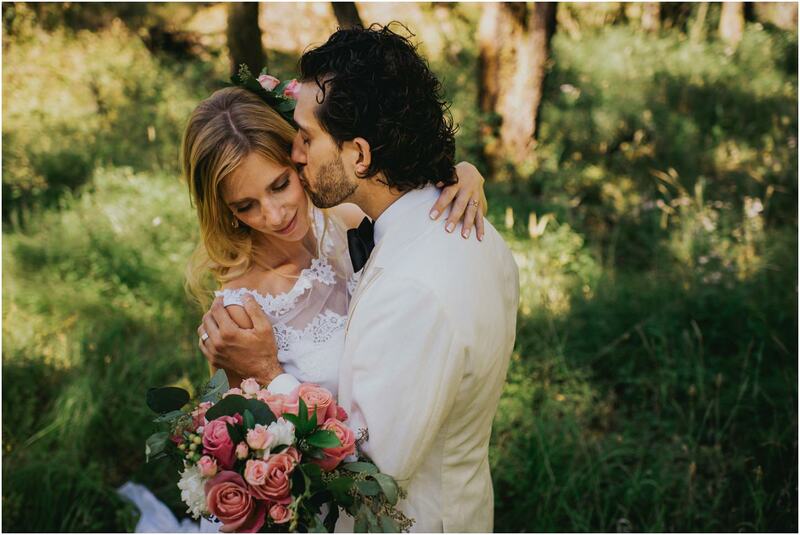 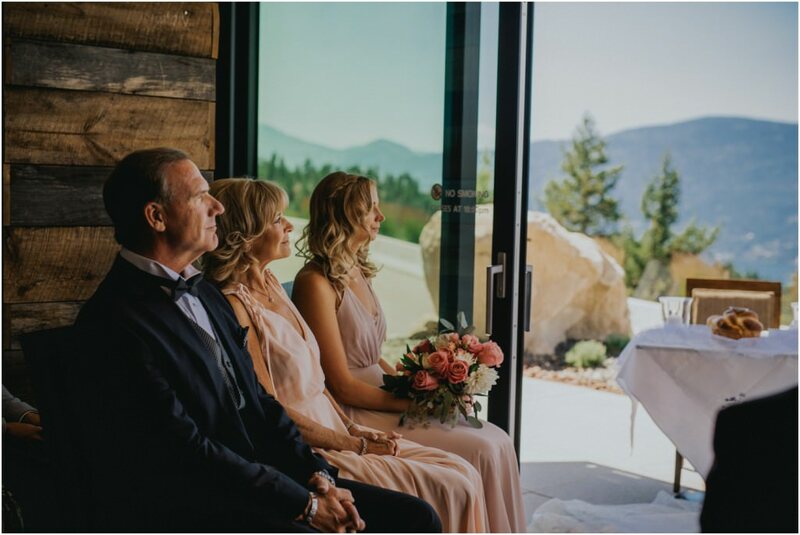 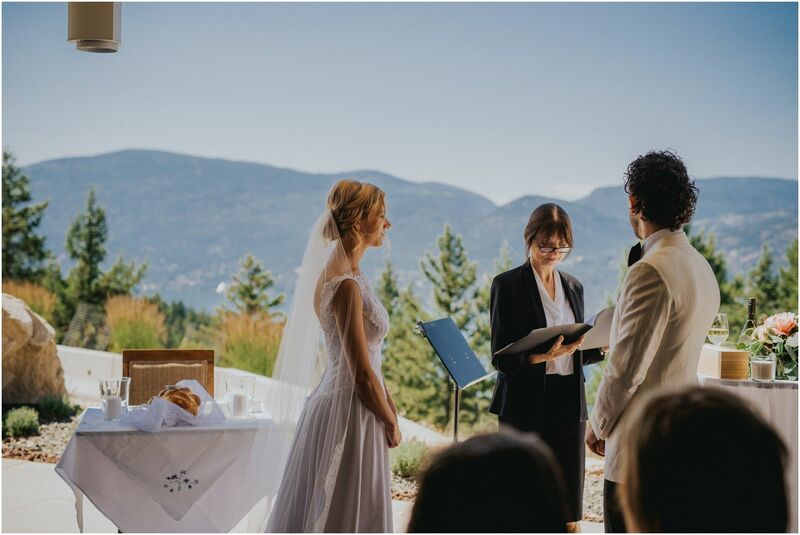 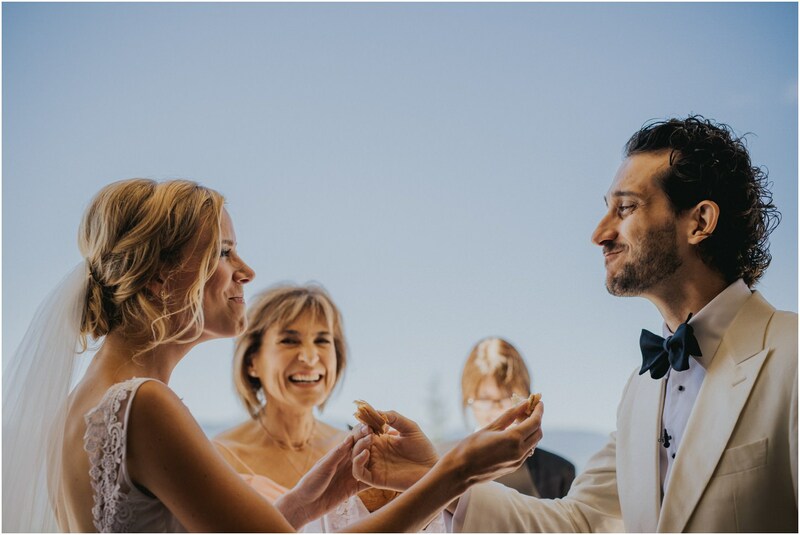 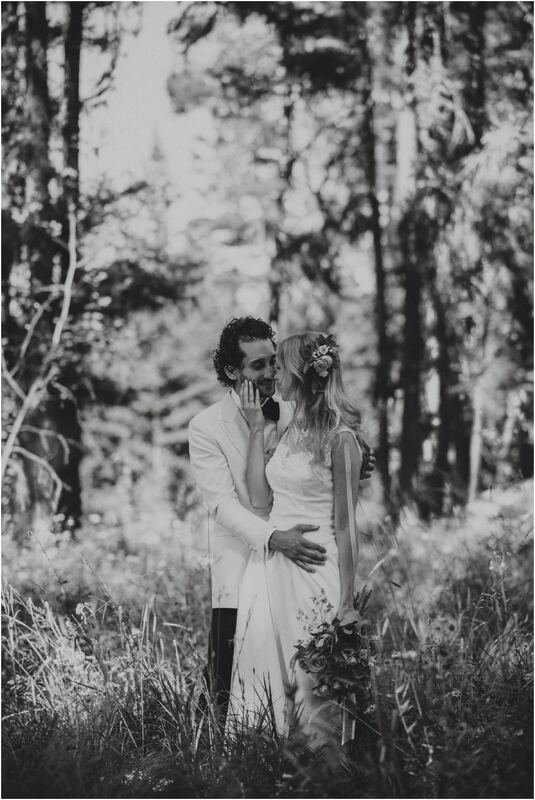 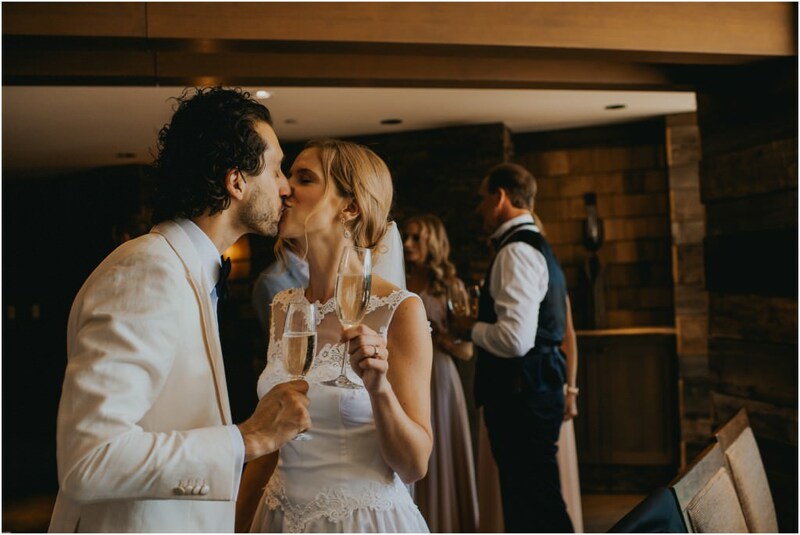 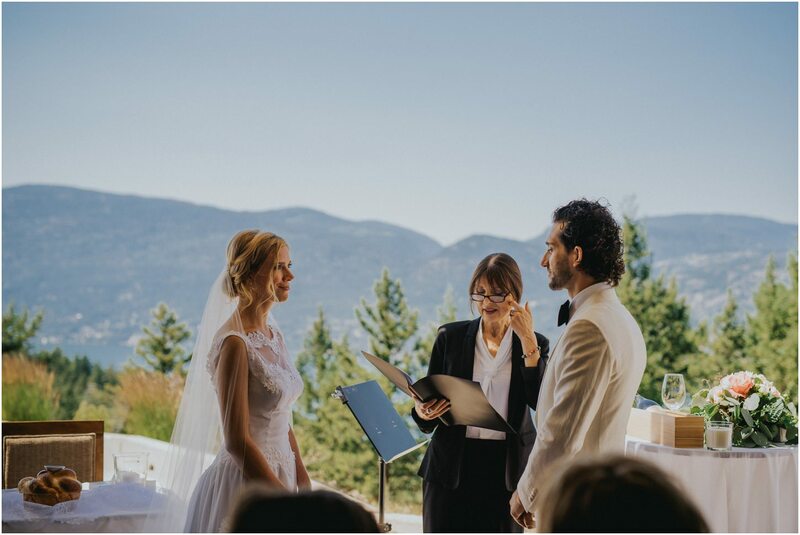 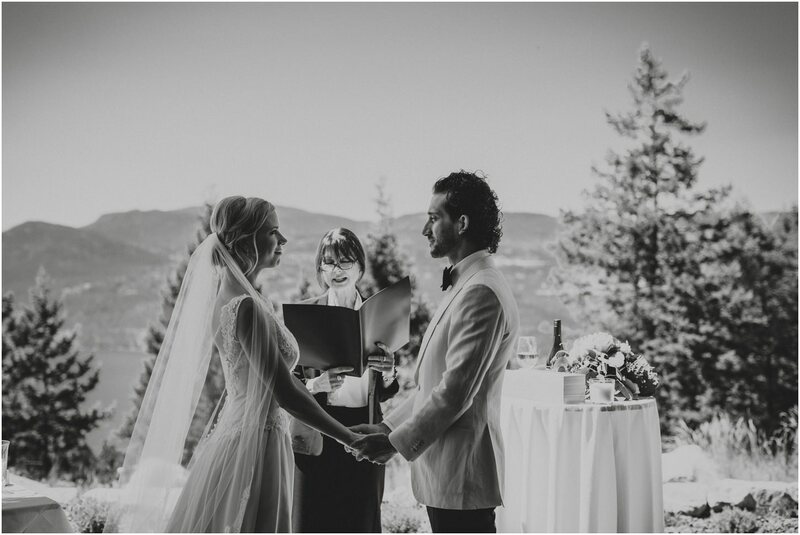 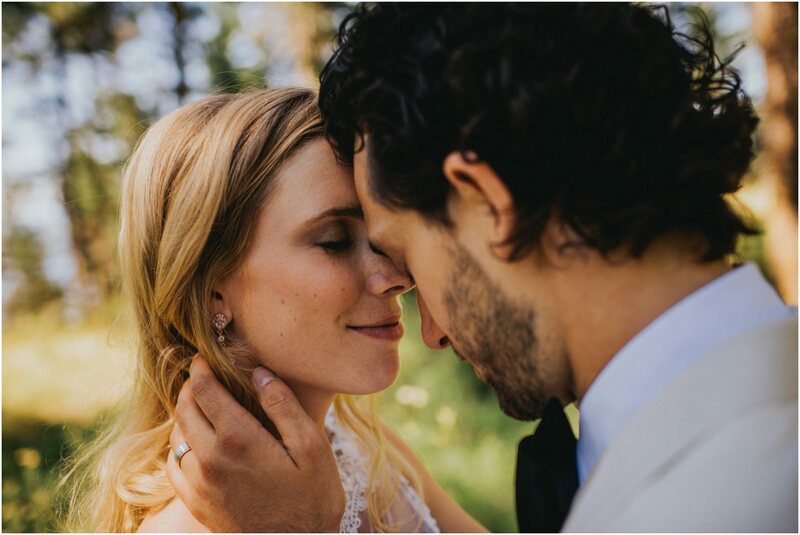 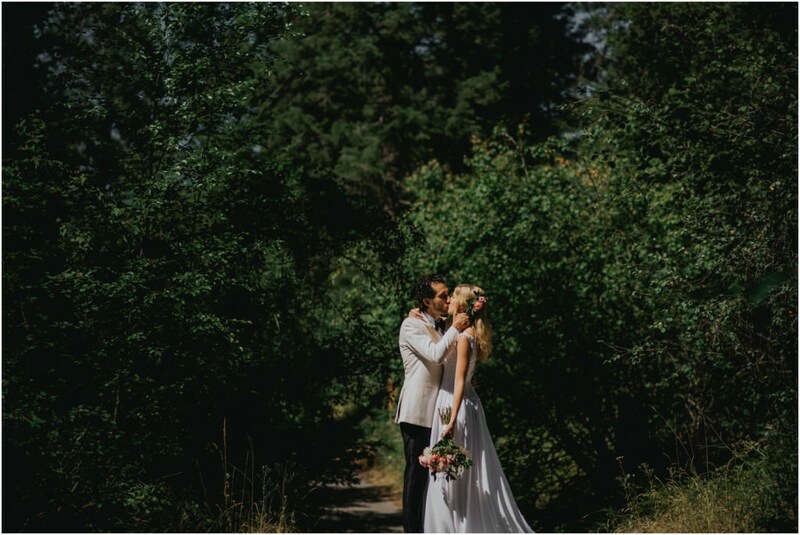 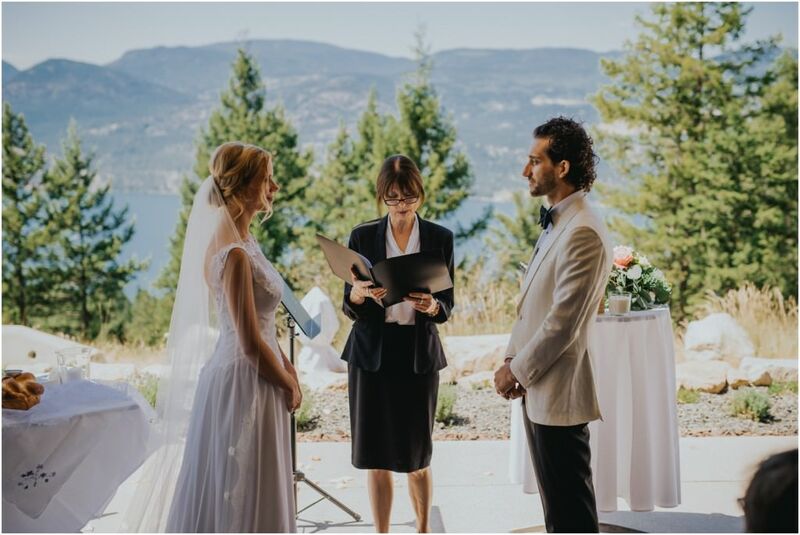 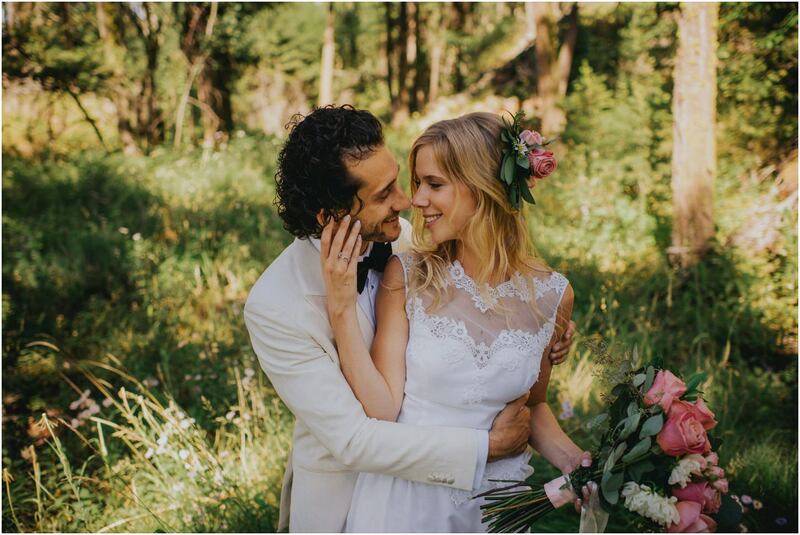 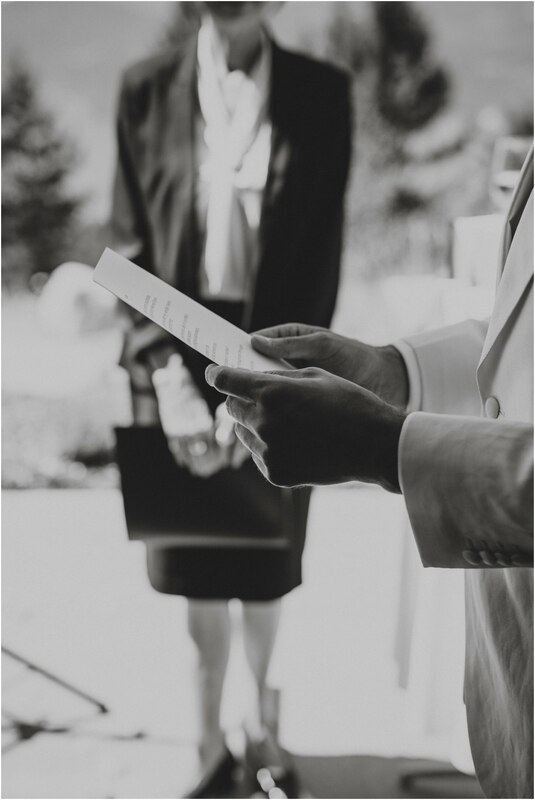 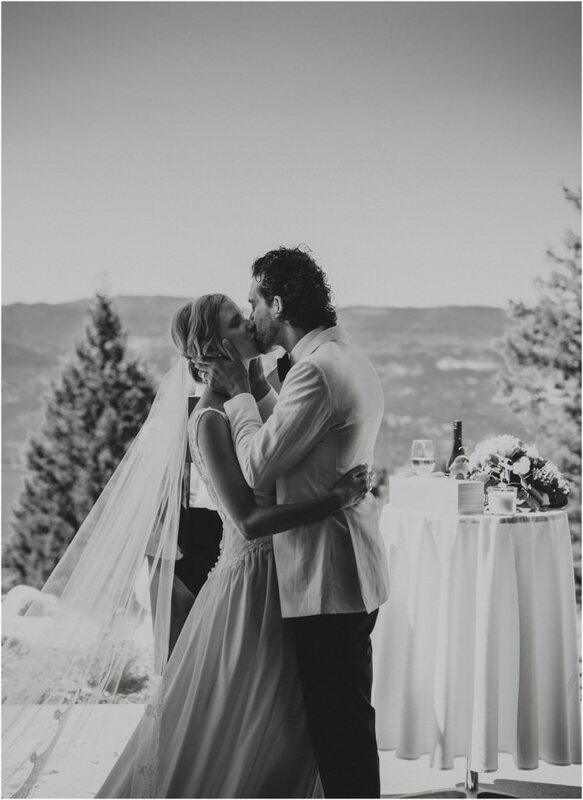 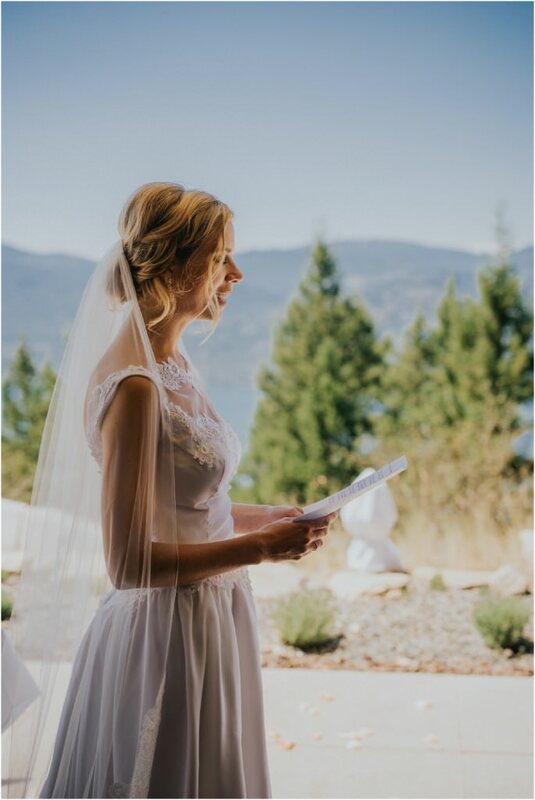 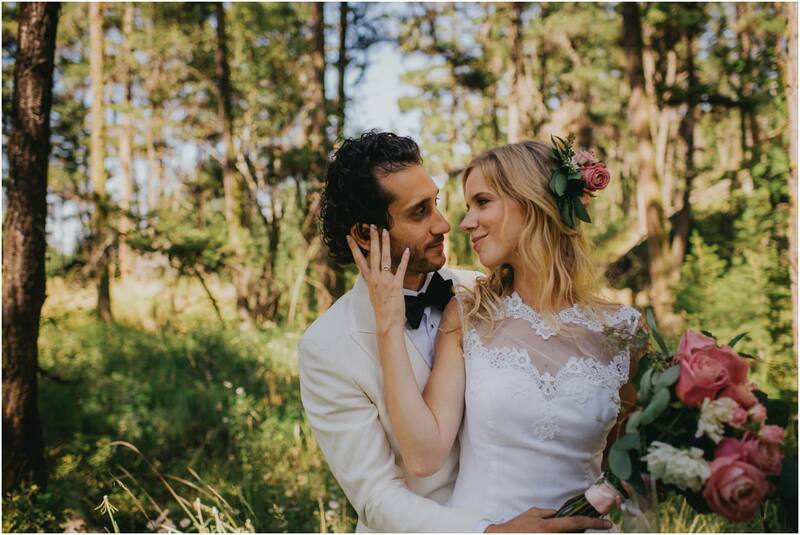 This intimate forest wedding underneath the Okanagan sun had me completely happy hearted from the amount of love that filled this day! 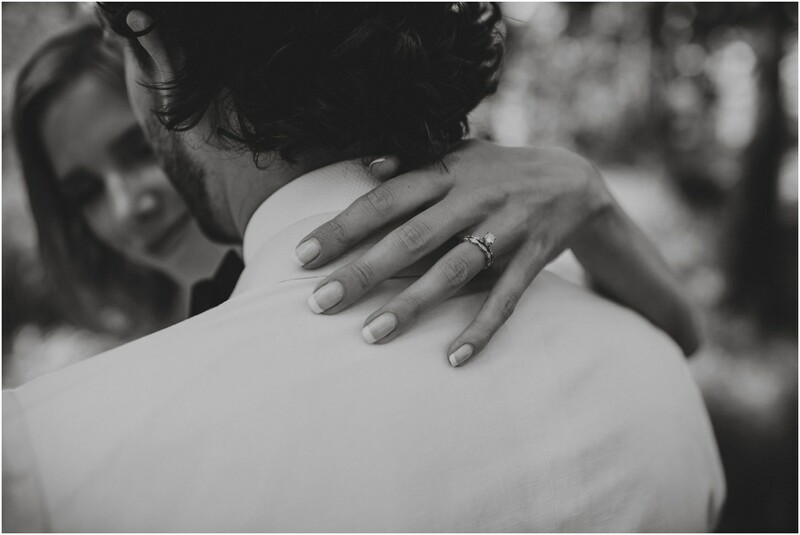 Although I only spent 3 hours with Yuriy and Chelsey, I felt as though I’ve known them for a huge amount longer. 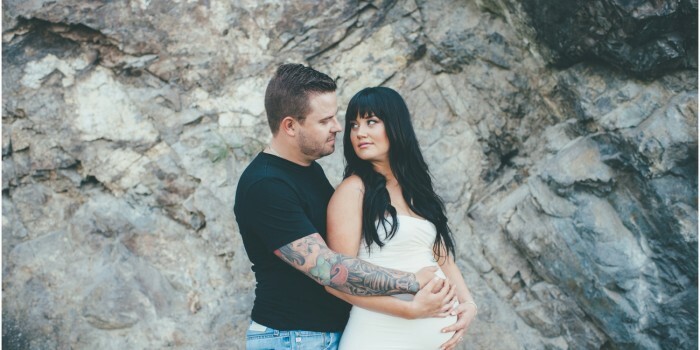 I feel as though their love is a kind that has this effect on people. 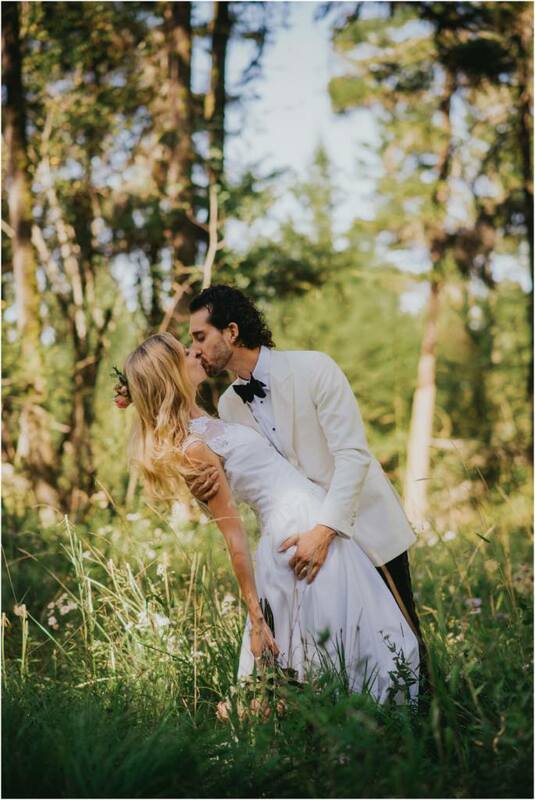 The moment that you see these two together, you see how intimate, true, and real they are along with the love that they share for each other. 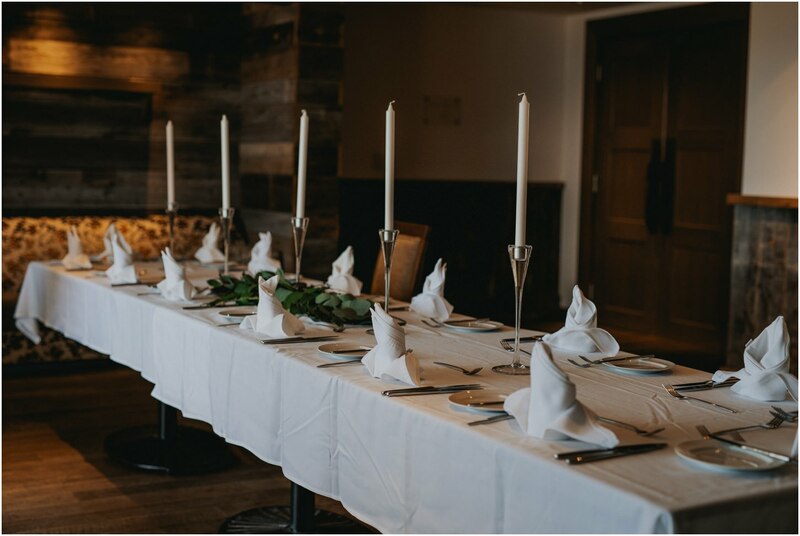 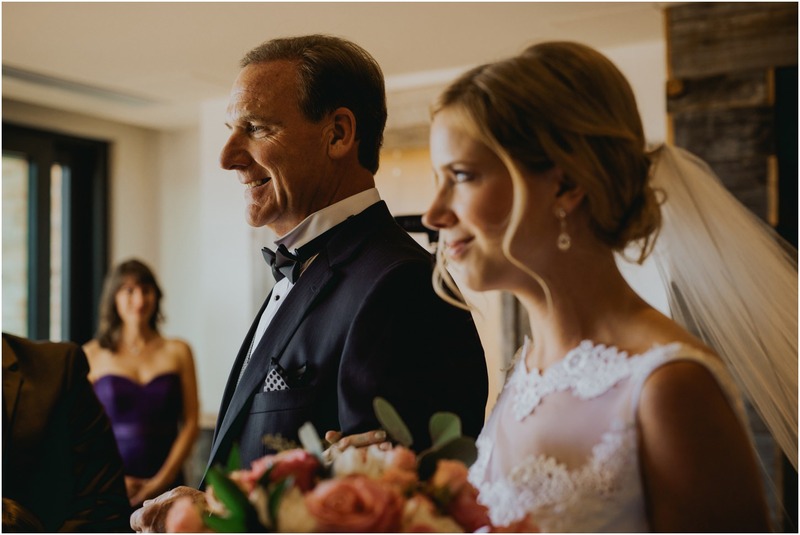 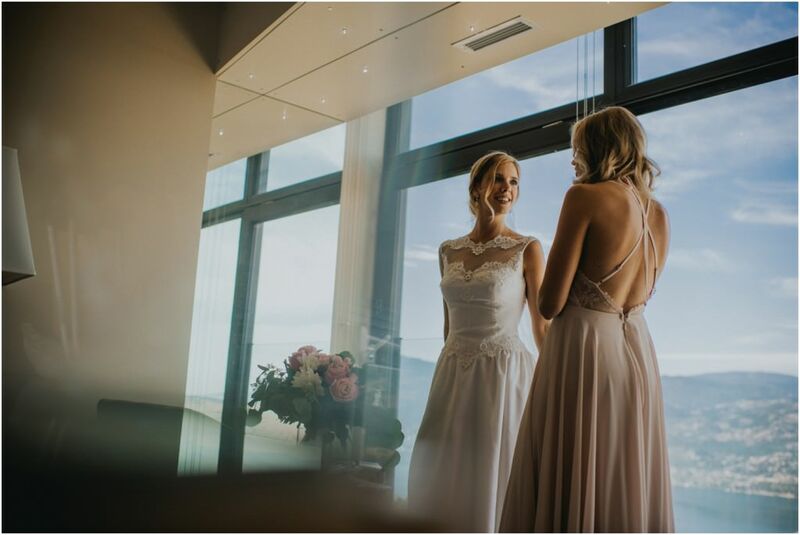 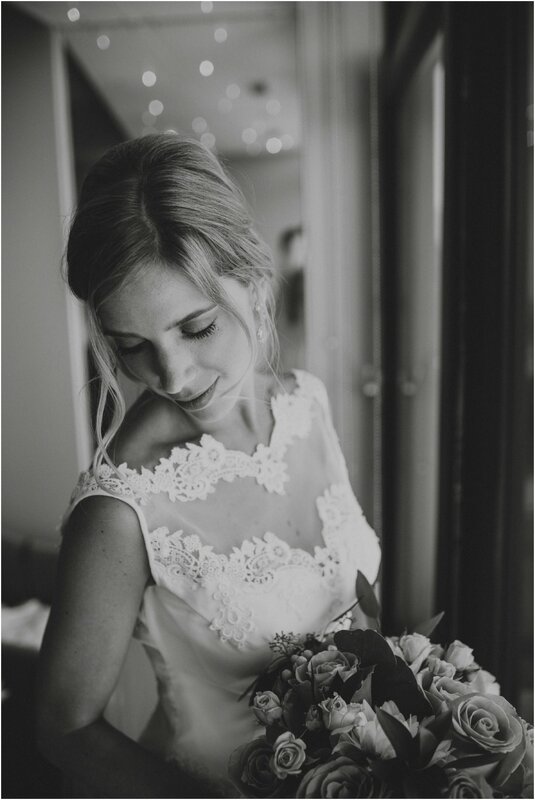 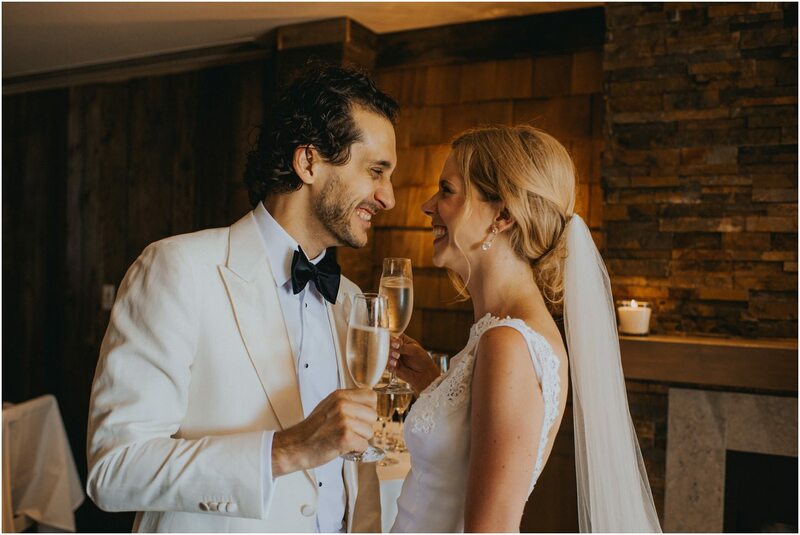 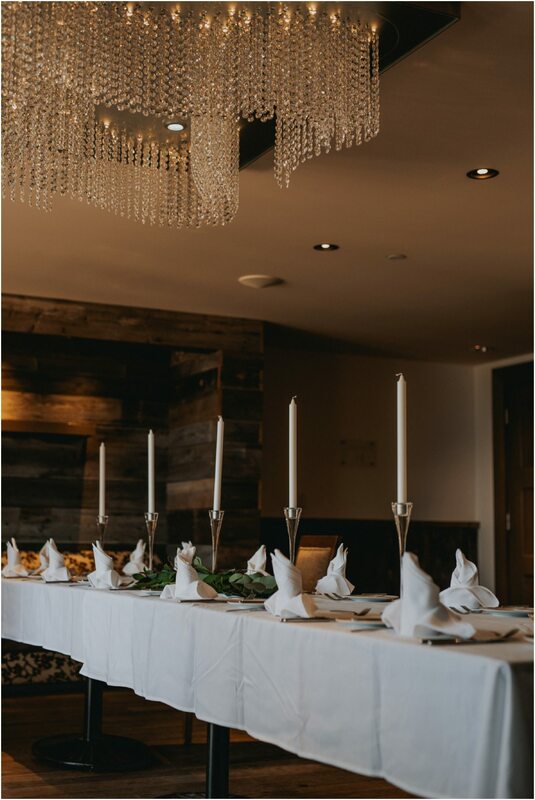 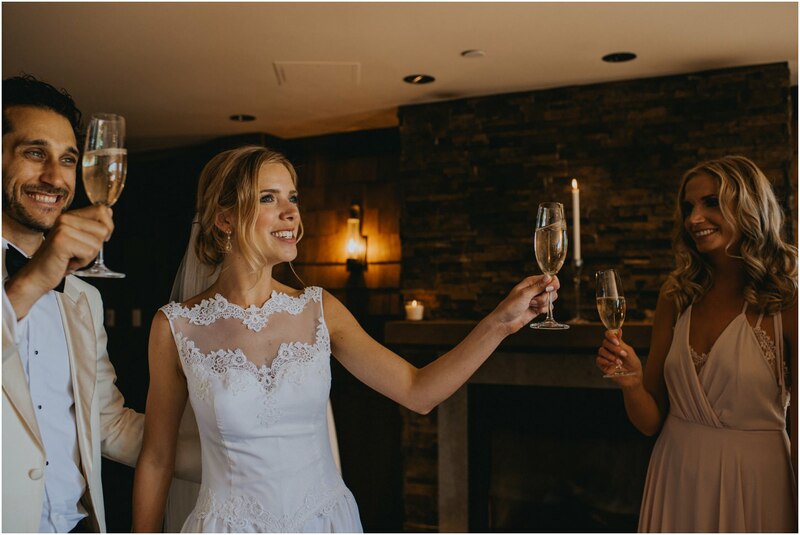 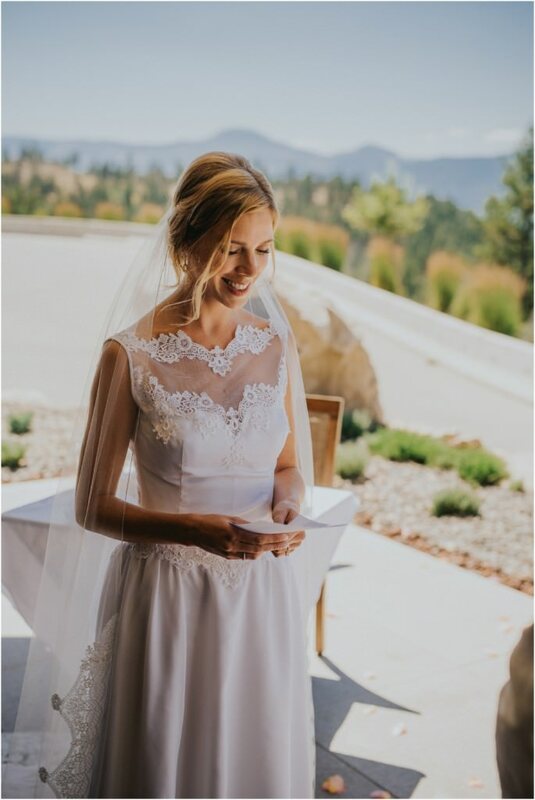 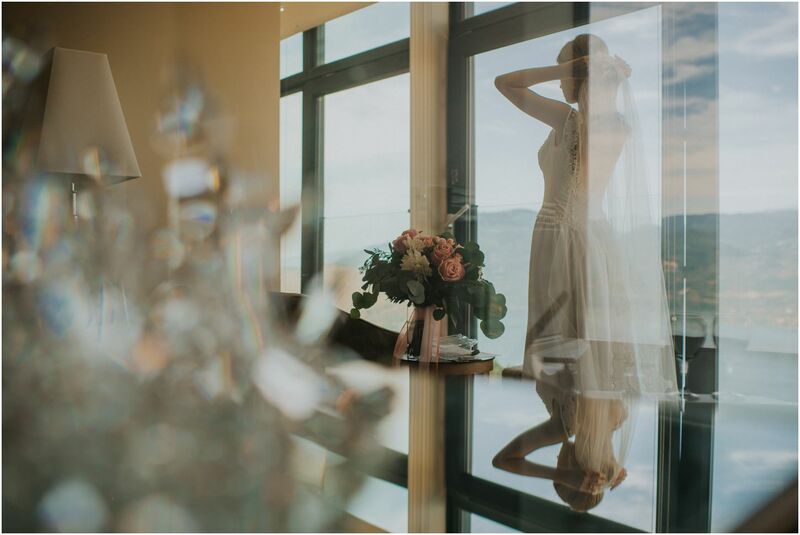 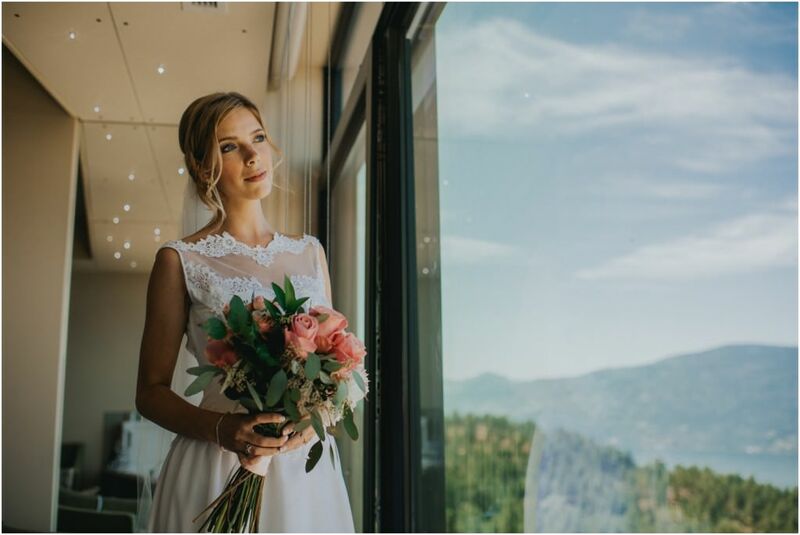 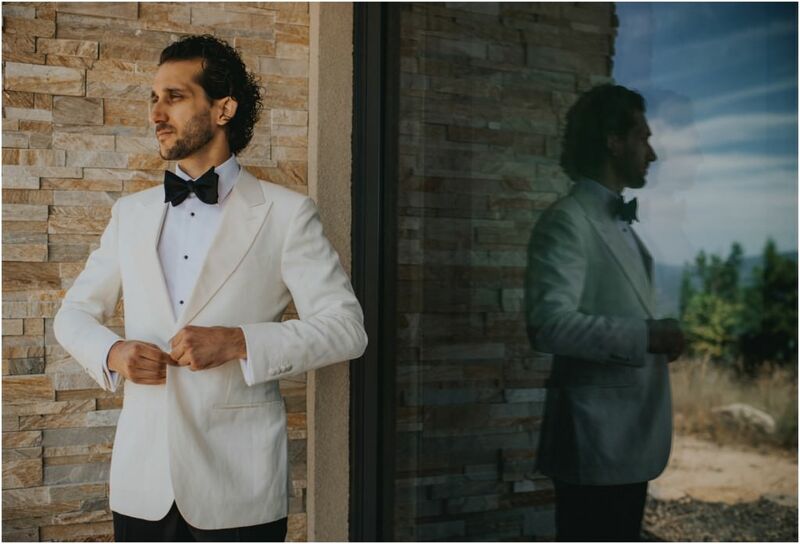 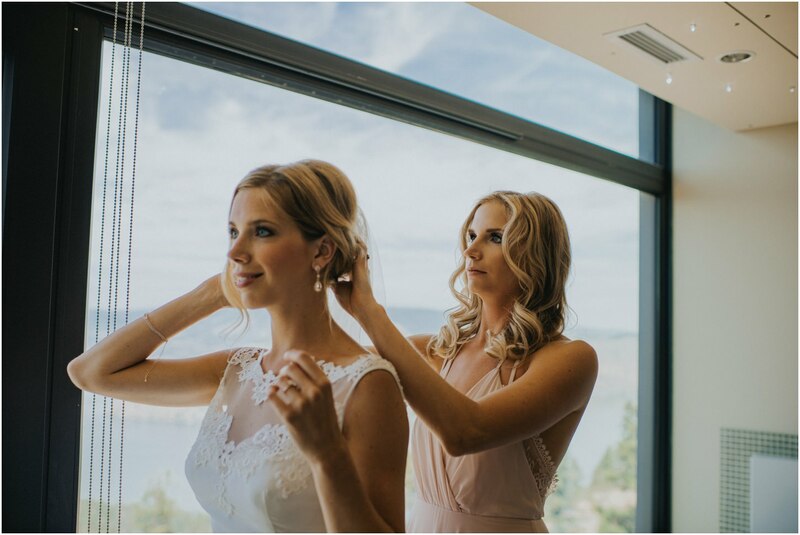 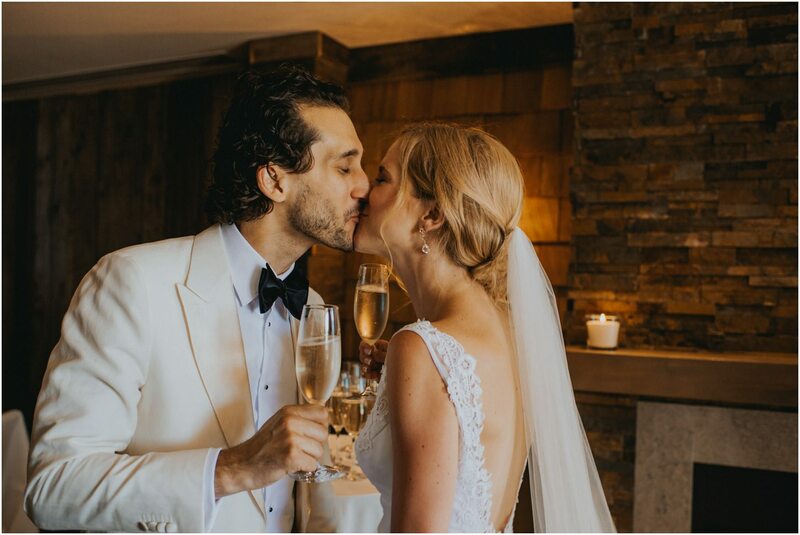 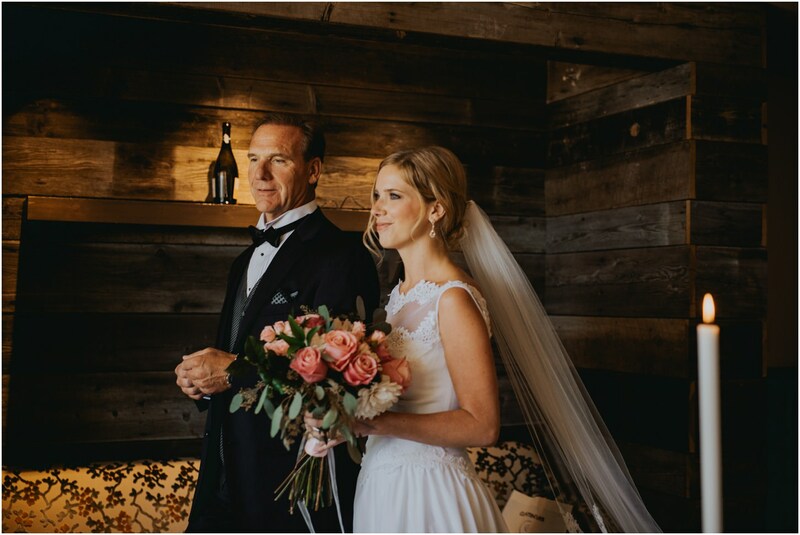 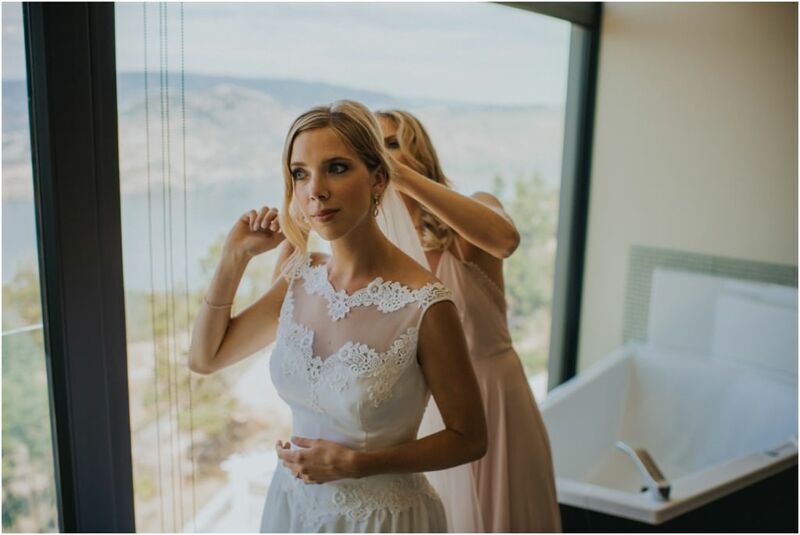 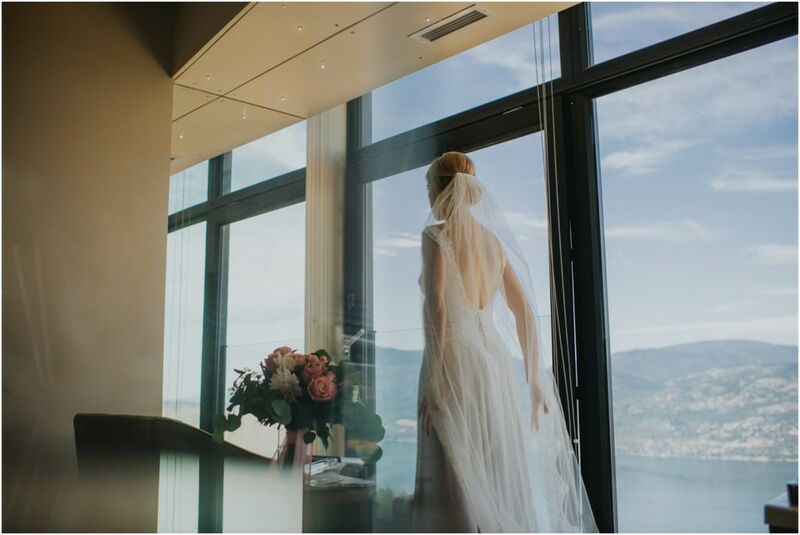 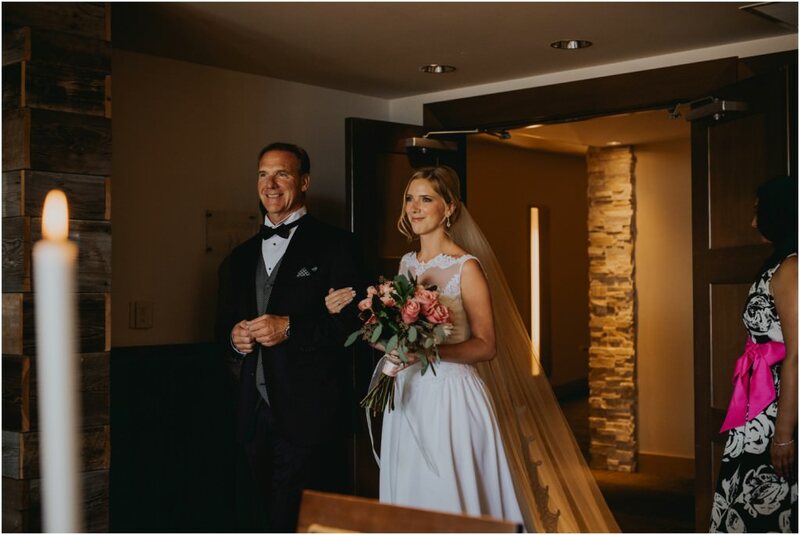 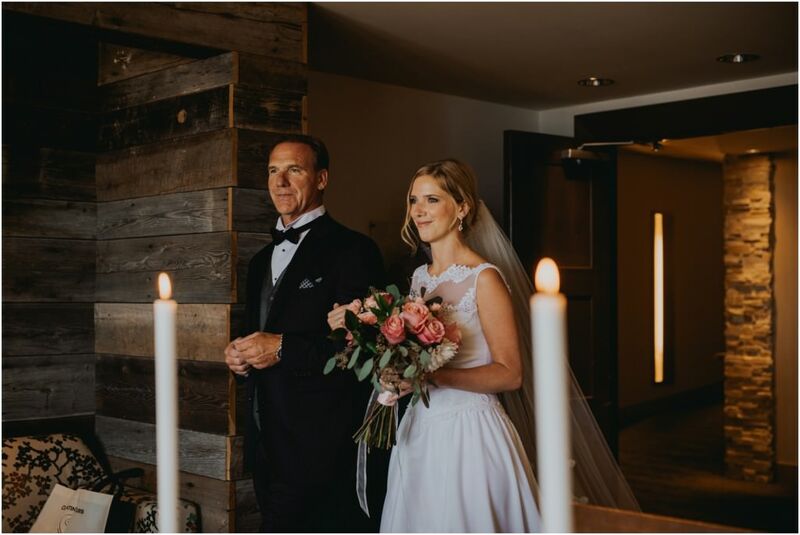 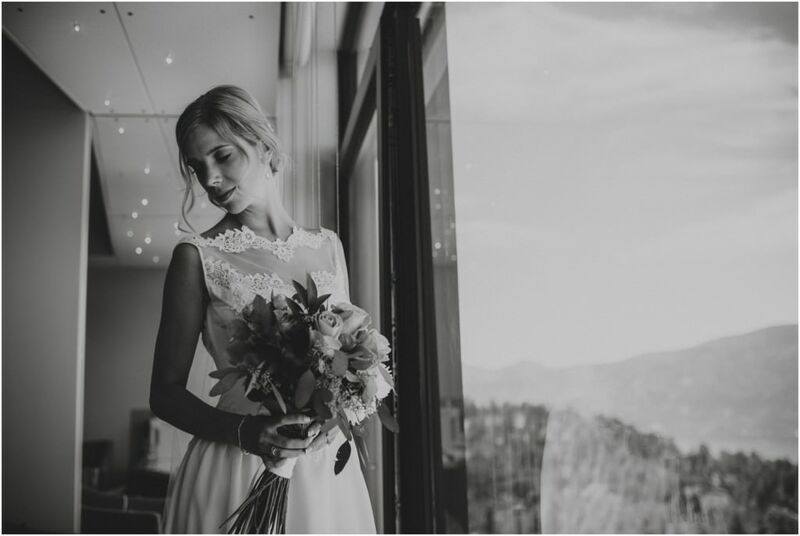 The day started as Chelsey got ready in her wedding dress in a gorgeous room at Sparkling Hill Resort overlooking the lake and mountains. 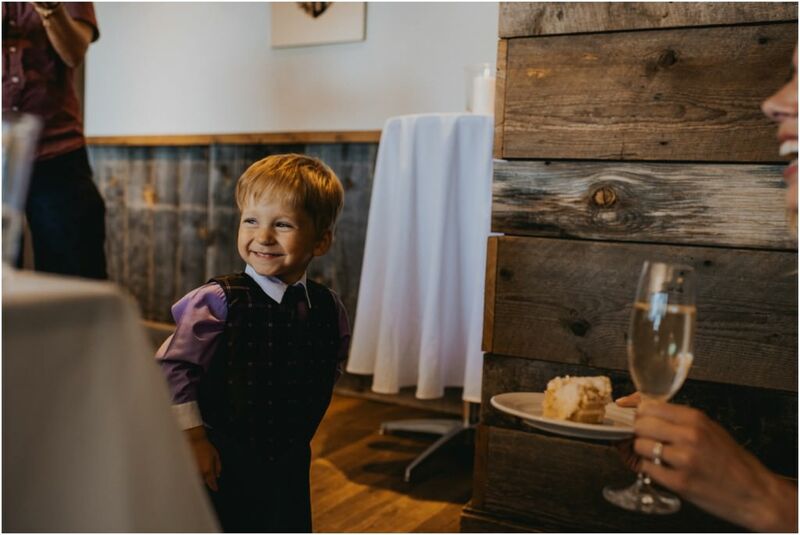 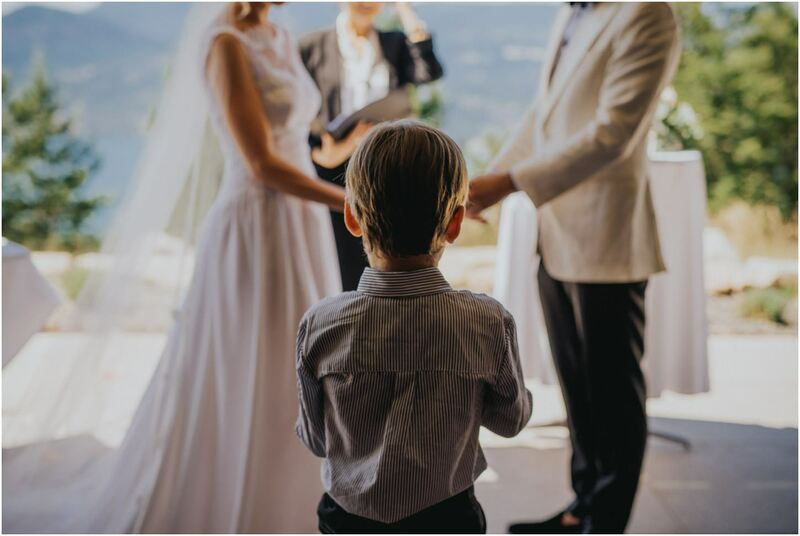 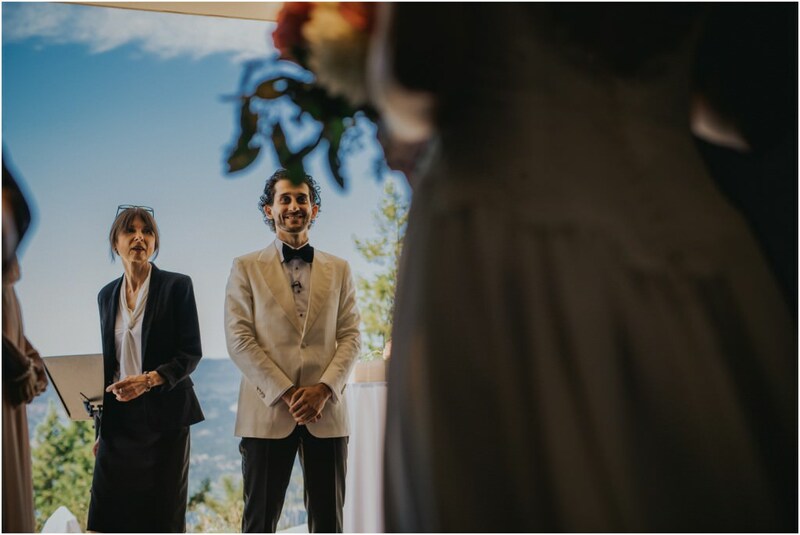 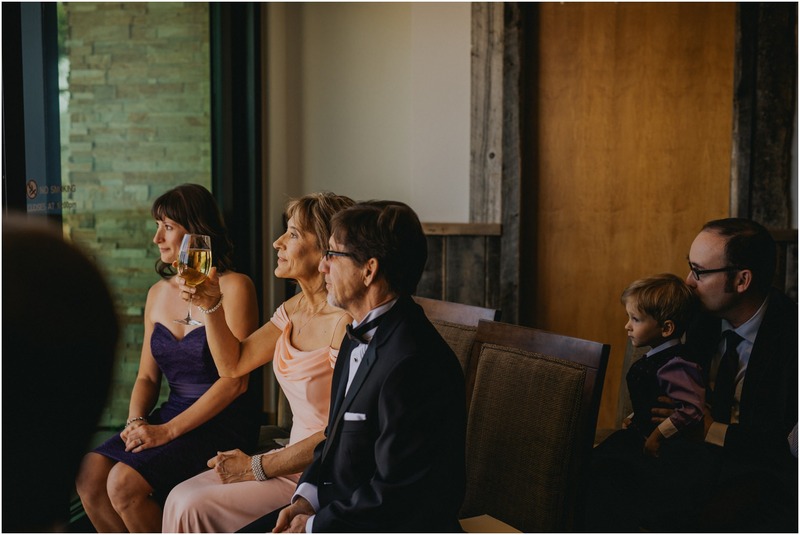 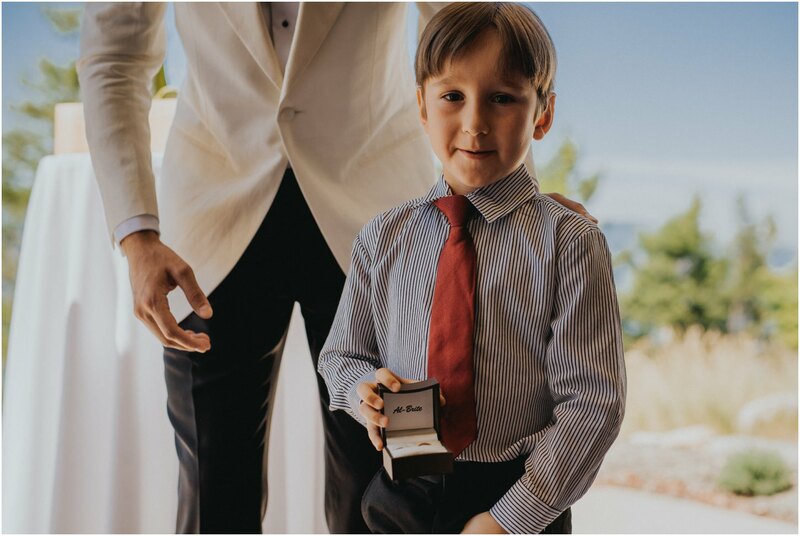 Once everyone was ready, they had such a darling ceremony surrounded by both sides of their family. 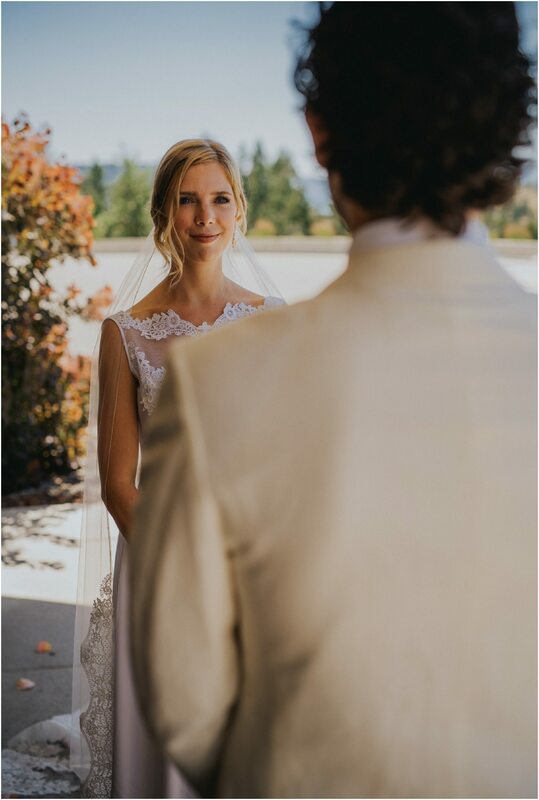 I could feel the excitement that they both had to eagerly say I do and have their first kiss as there eyes would meet during it all with such strong emotion. 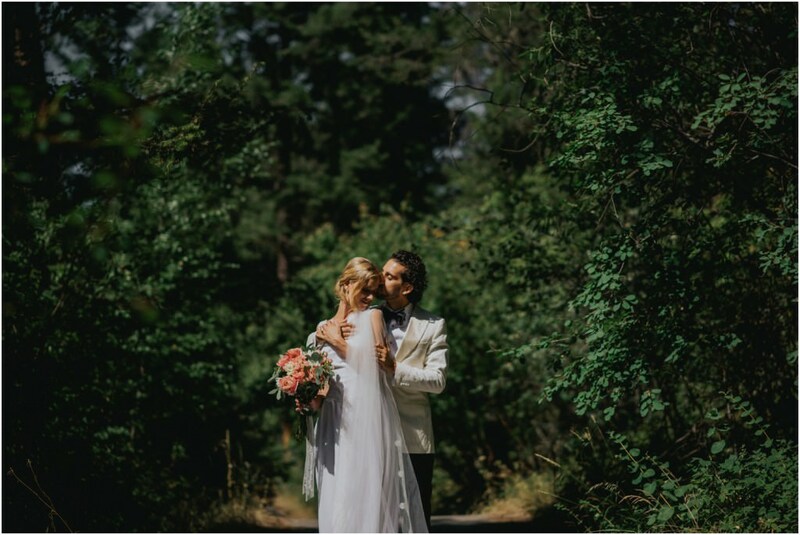 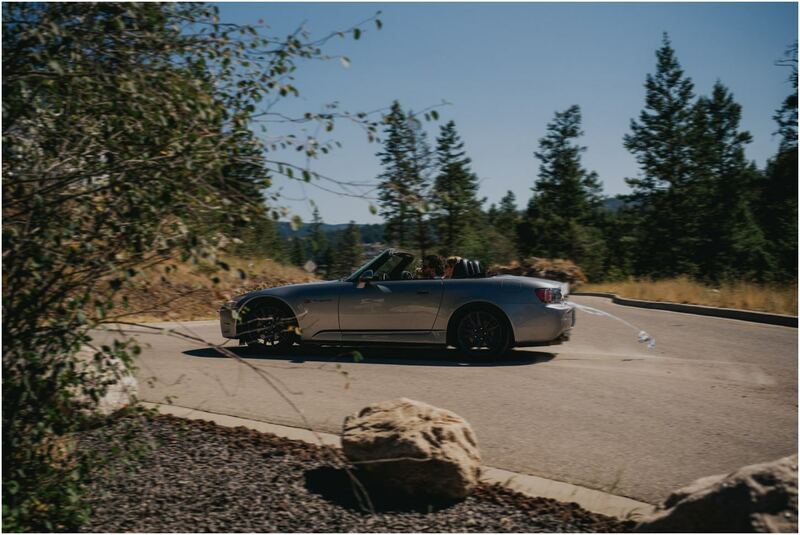 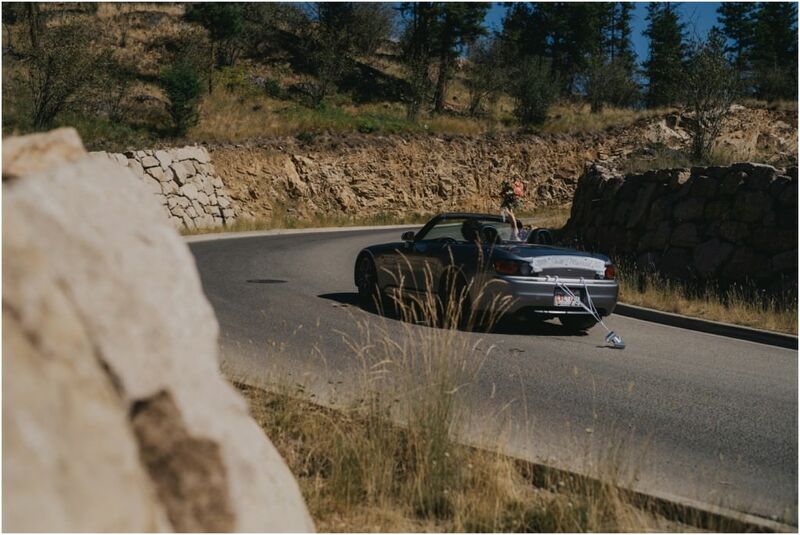 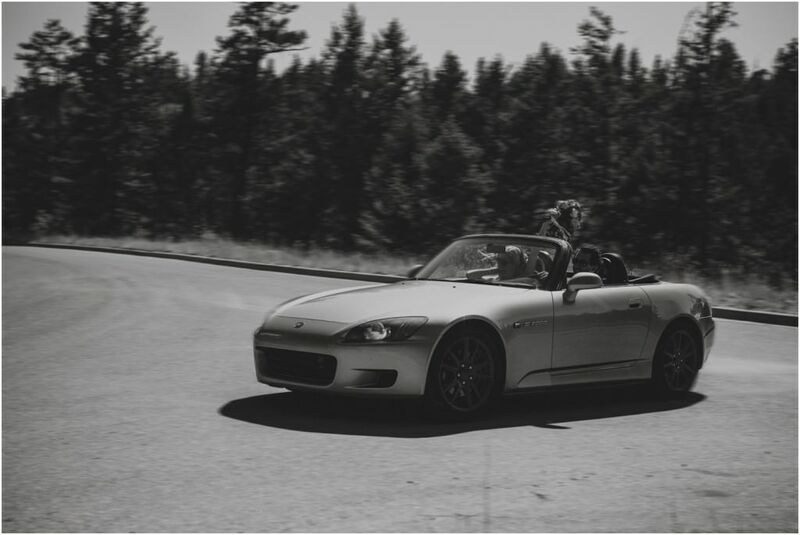 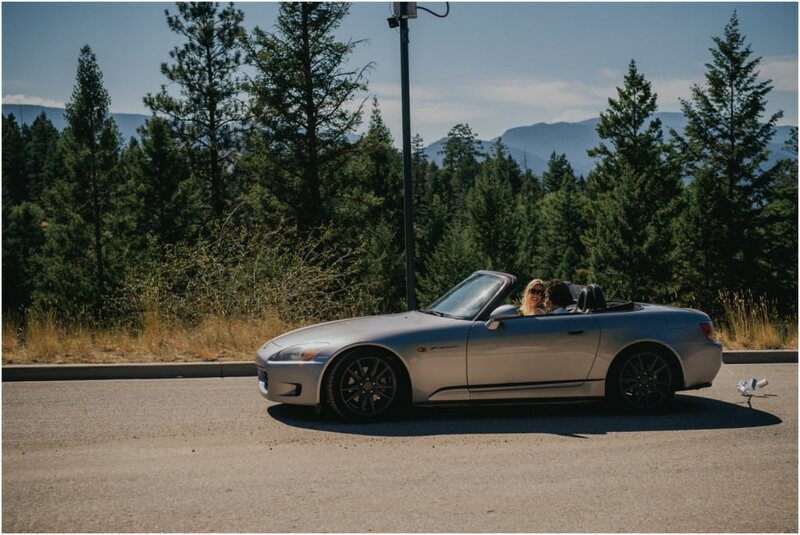 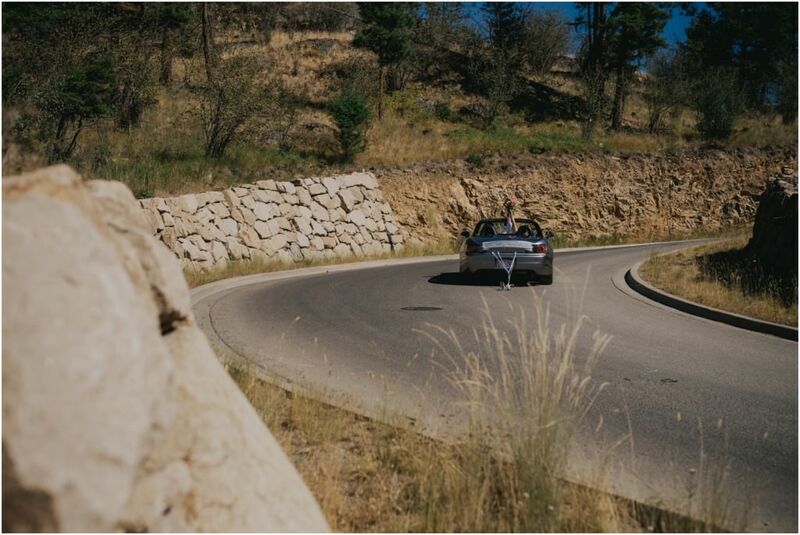 After some champagne and a cheers with everyone, they snuck away in Yuriy’s car as we made our way to the forest to celebrate their marriage. 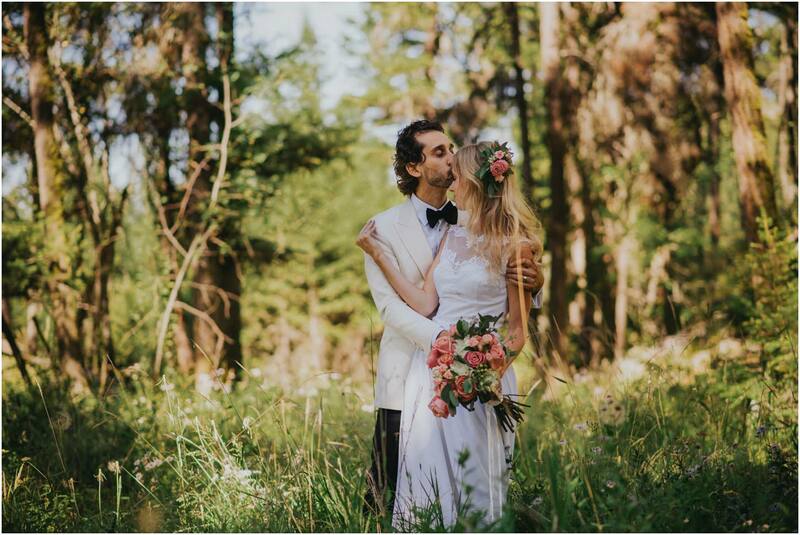 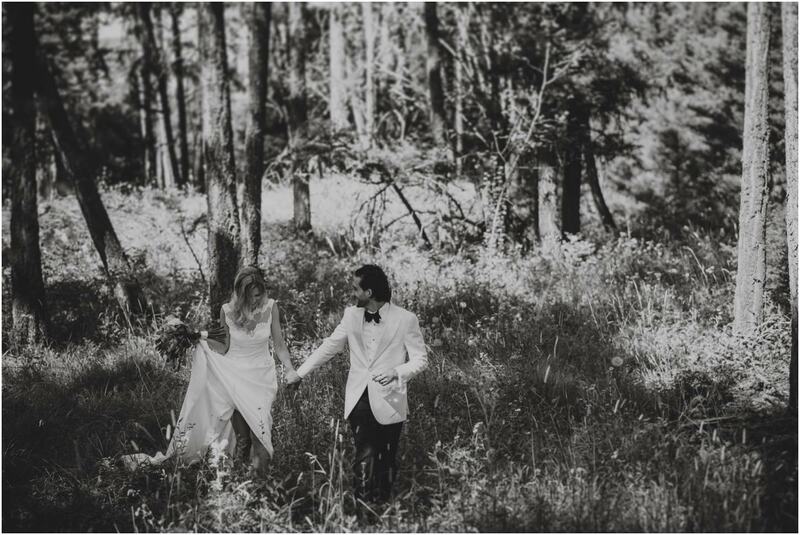 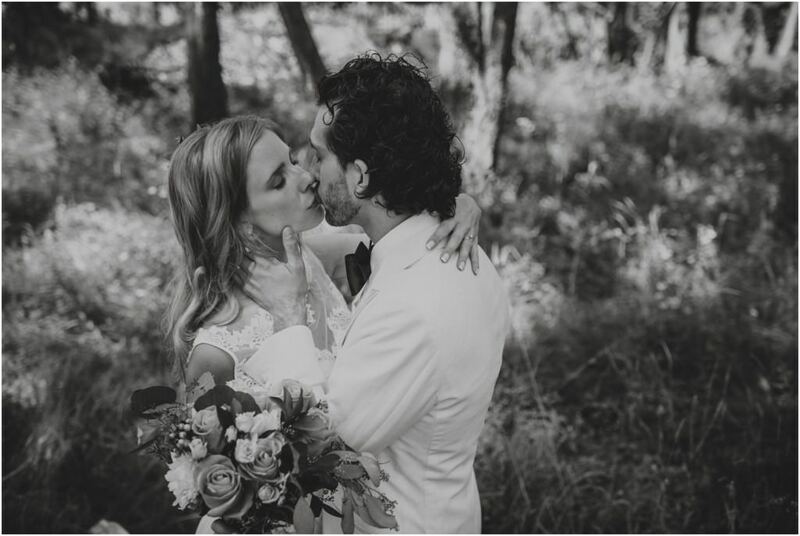 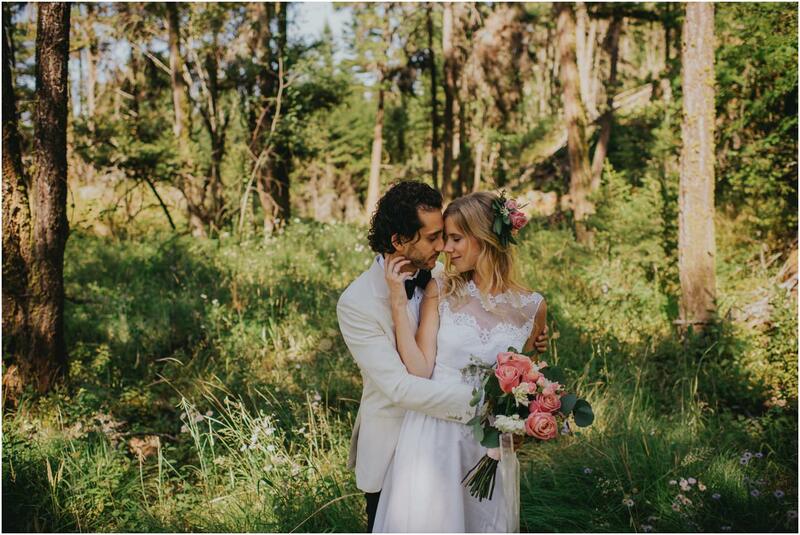 We chased light through the trees and captured these two, wild and free hearts, celebrate being one! 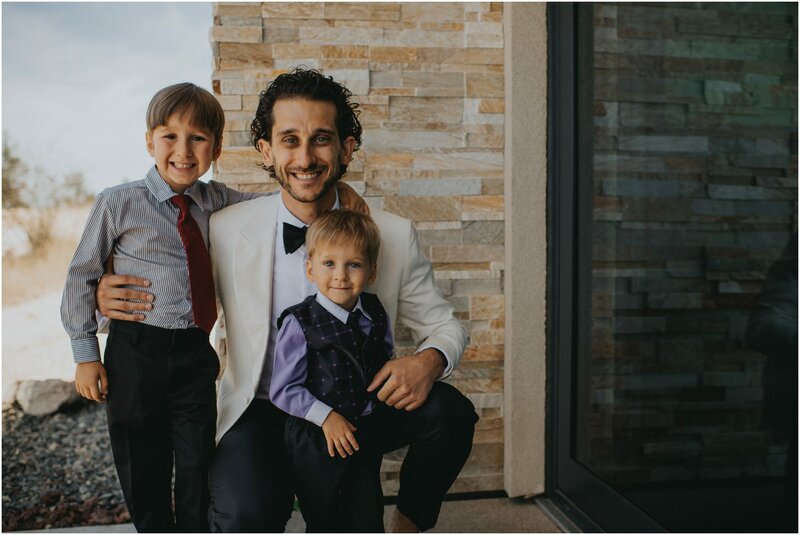 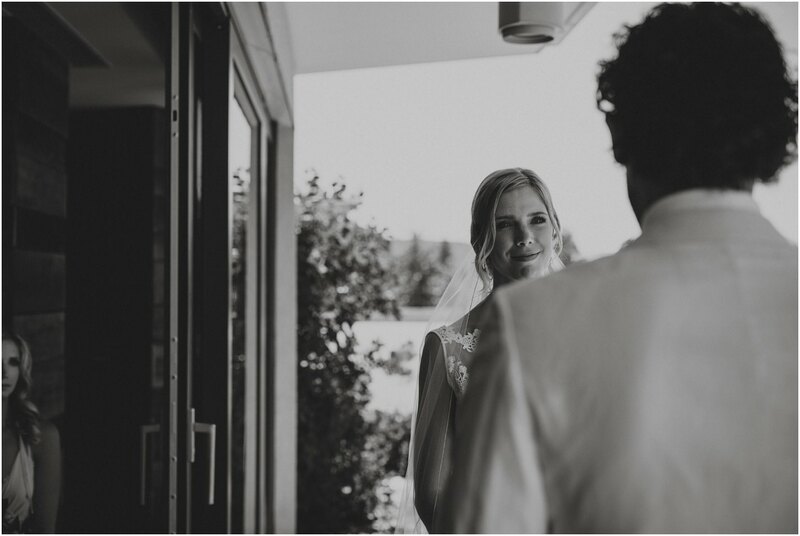 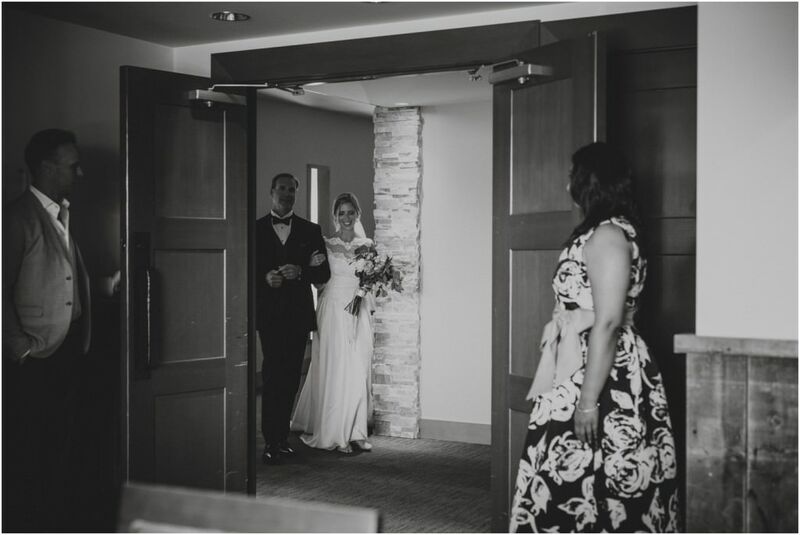 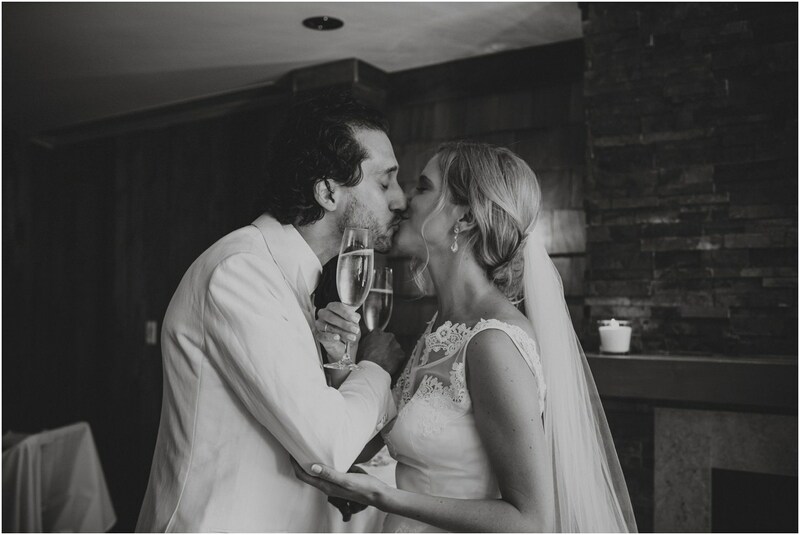 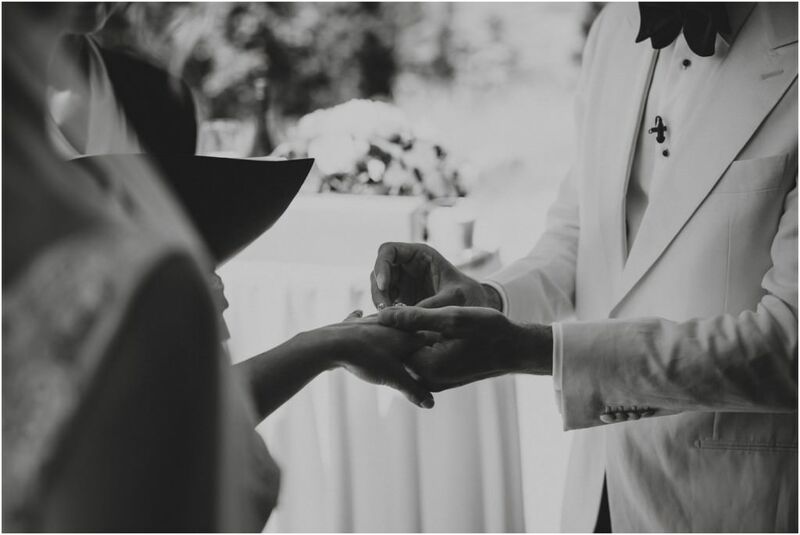 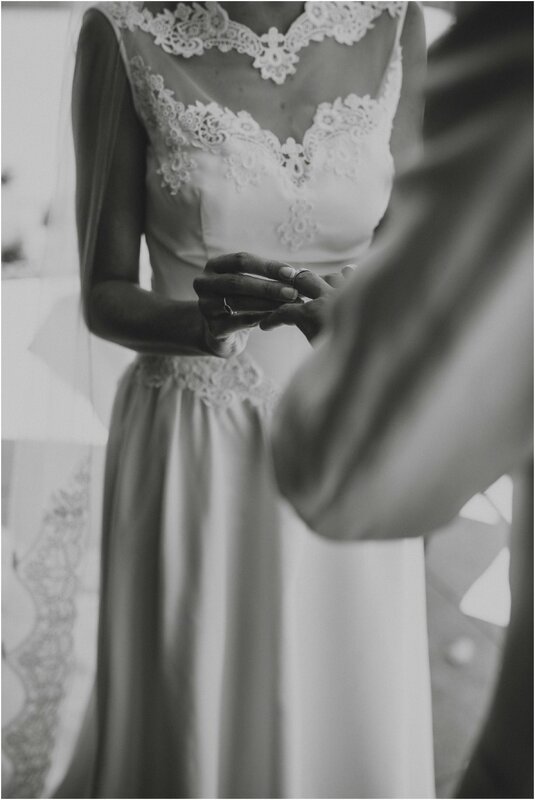 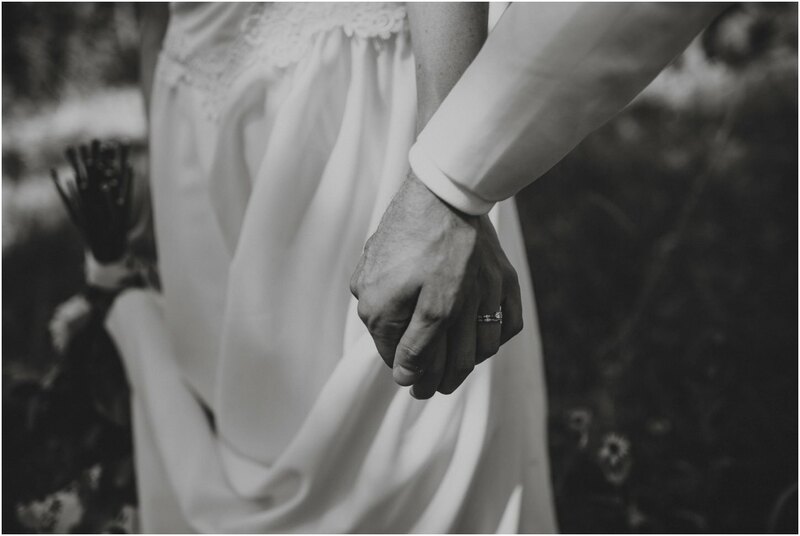 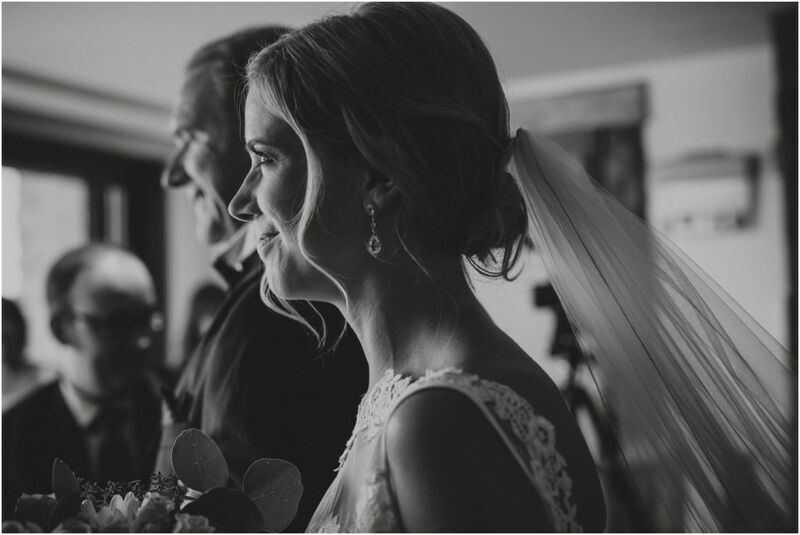 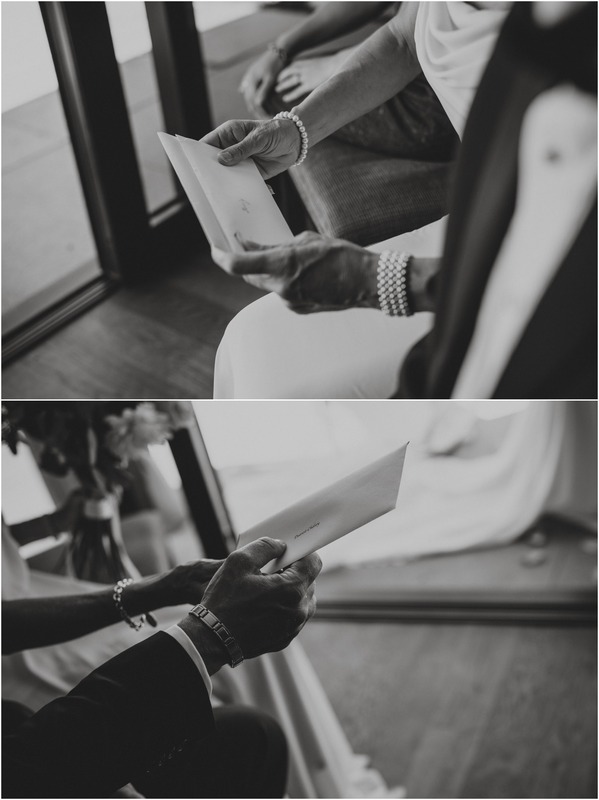 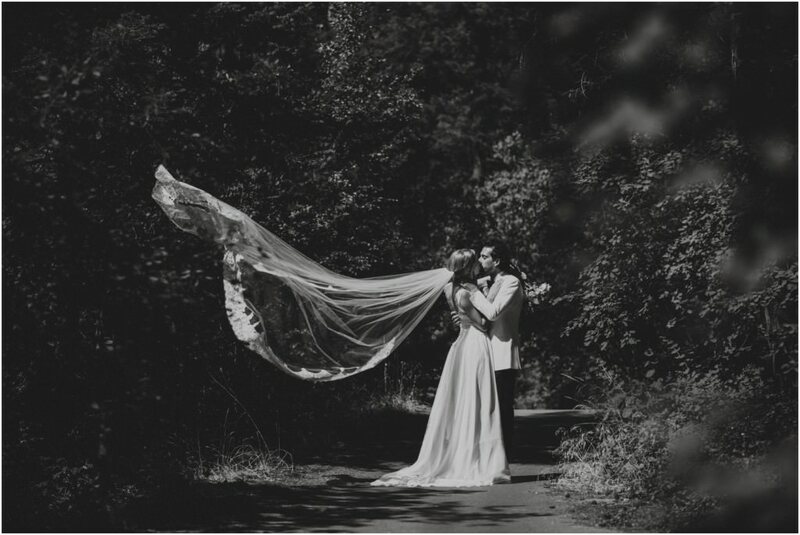 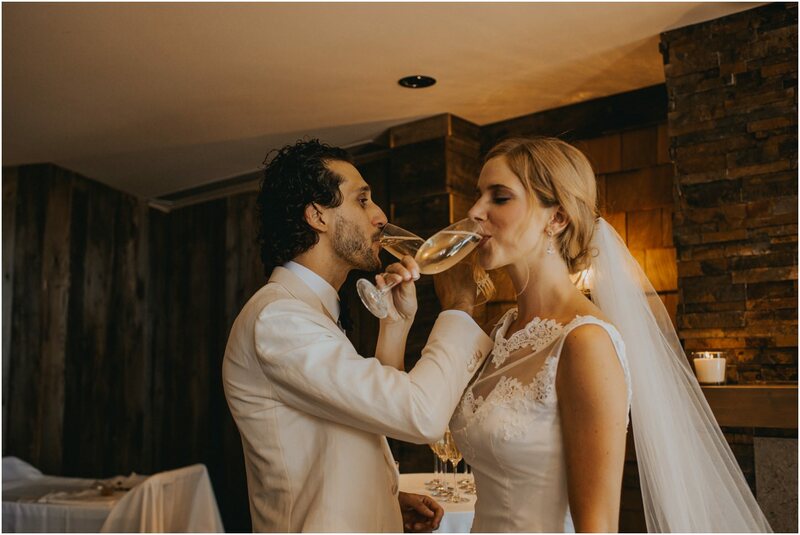 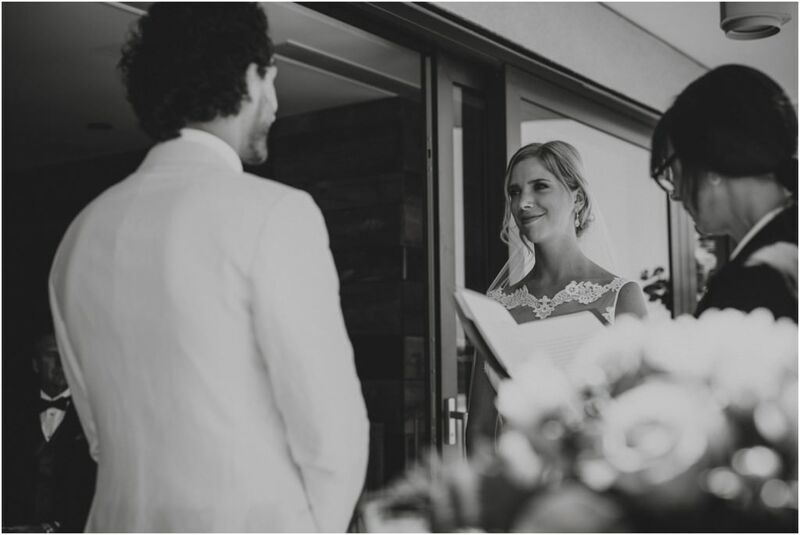 Yuriy and Chelsey, I feel honoured to have met you both let alone capture this special day in your lives! 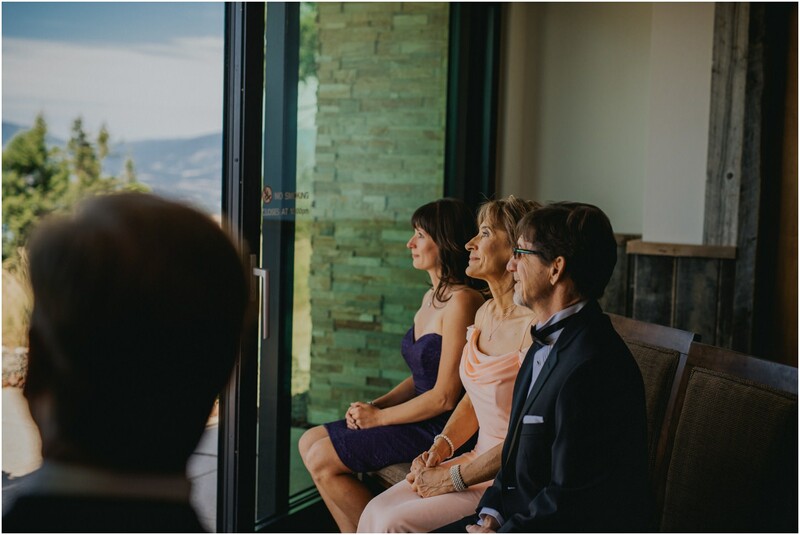 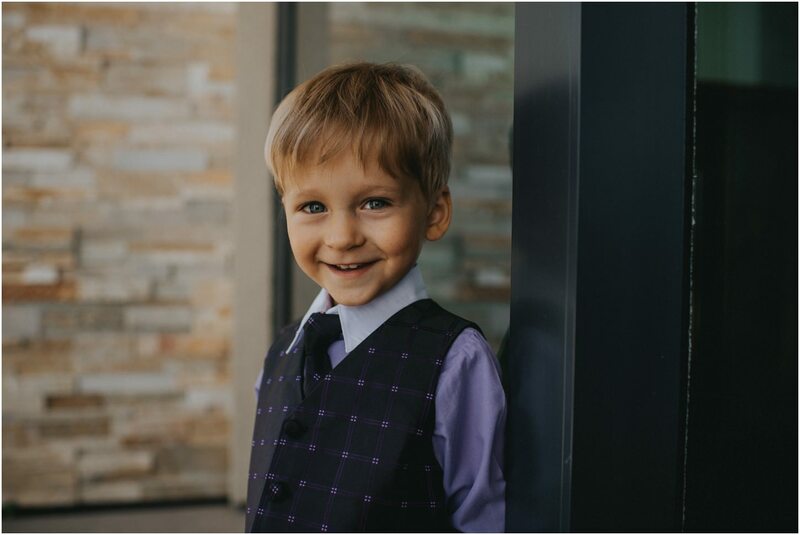 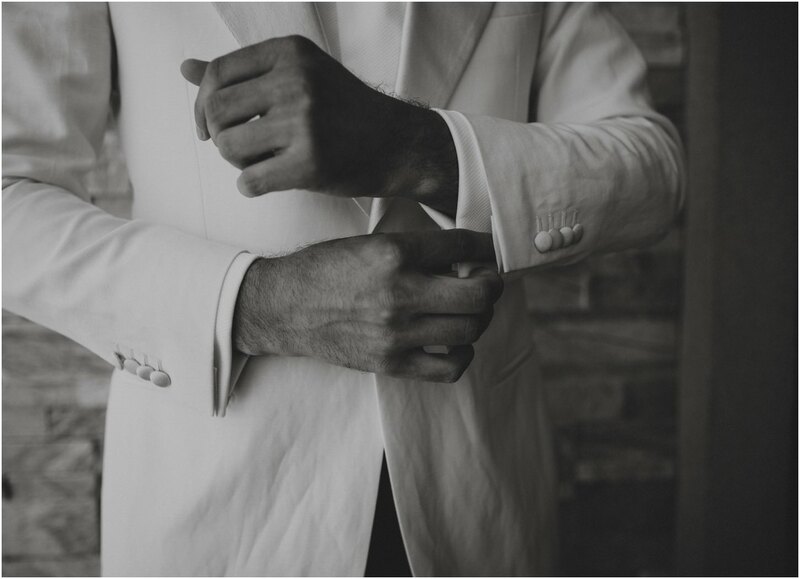 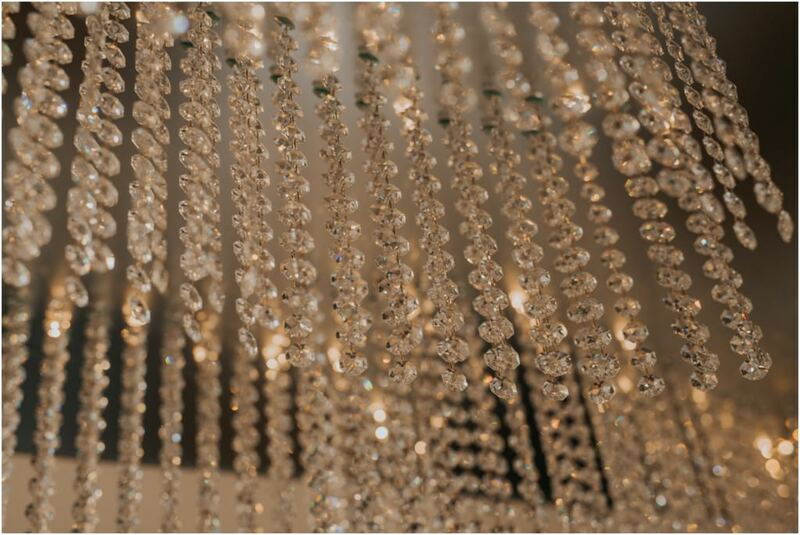 Until we make it happen and meet for your anniversary session, enjoy your wedding day photographs below!